Das Best Western Plus Landmark Hotel ist ideal in Ballard Stadtzentrum zu finden. Erleben Sie ein schöner Aufenthalt in der Nähe von alle Sehenswurdigkeiten. Bestpreisgarantie und exklusive Angebote. Willkommen im Best Western Plus Landmark Hotel!Das Dinosaur Museum in Vernal ist eine kurze Autofahrt von unserem Hotel in Ballard/Roosevelt entfernt, und fast schon Pflicht für Familien mit Kindern. 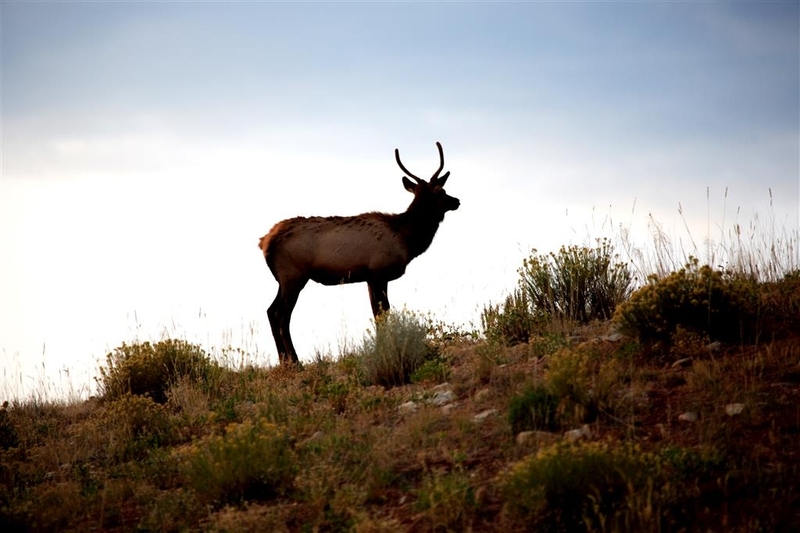 Ob Sie zum Jagen in Utah sind oder Ihre Tage damit verbringen, die Flaming Gorge zu erkunden, unser Hotel in Ballard/Roosevelt bietet eine großartige Lage und freundlichen Service. Unser Haus ist das einzige Hotel in der Region, dessen Hallenbad ganzjährig geöffnet. Ob Entspannung oder Abenteuer, jeden Tag gibt es für Gäste etwas Neues zu entdecken. Die Fortbewegung gestaltet sich äußerst einfach, und die besten Plätzchen sind nur eine kurze Autofahrt entfernt. Unser Hotel in Roosevelt, Utah ist das neueste AAA Hotel im Gebiet. Die Nähe zu Roosevelt und das kostenlose warme Frühstück bietet Gästen Komfort zum günstigen Preis. Beginnen Sie jeden Morgen mit einem Teller voller kostenloser Waffeln und Früchte, Ihren Lieblingsgebäckstücken sowie Müsli, Cornflakes, zahlreiche Joghurts und 100 % Arabica-Kaffee oder Säften. Jagen und Angeln sind die Hauptattraktionen, die Gäste in unser Hotel in Ballard/Roosevelt bringen. Auch Flussrafting ist sehr beliebt. Genießen Sie kostenloses Wi-Fi, ein Fitnessstudio und den Luxus, im neuesten Hotel der Region zu wohnen. Gäste wissen, dass Best Western für Qualität und besten Service steht, und genau das finden Sie natürlich auch in unserem Roosevelt Hotel. Auch viele Geschäftsreisende besuchen uns, darunter Mitarbeiter von Energieservices, der Erdöl-Industrie, der Ölindustrie und des Ute Tribe. Unser Ziel ist, jeden Gast den bestmöglichen Aufenthalt in unserem Roosevelt Hotel zu bieten. Unser hilfreiches Personal kennt die wahre Bedeutung von Gastfreundlichkeit und scheut keine Mühe, all Ihre Wünsche zuerfüllen. Lassen Sie uns wissen, wenn wir etwas tun können, um Ihren Aufenthalt noch zu verbessern. Reservieren Sie ein Zimmer für Ihren Aufenthalt im Best Western Plus Landmark Hotel, dem neuesten Hotel der Gegend! 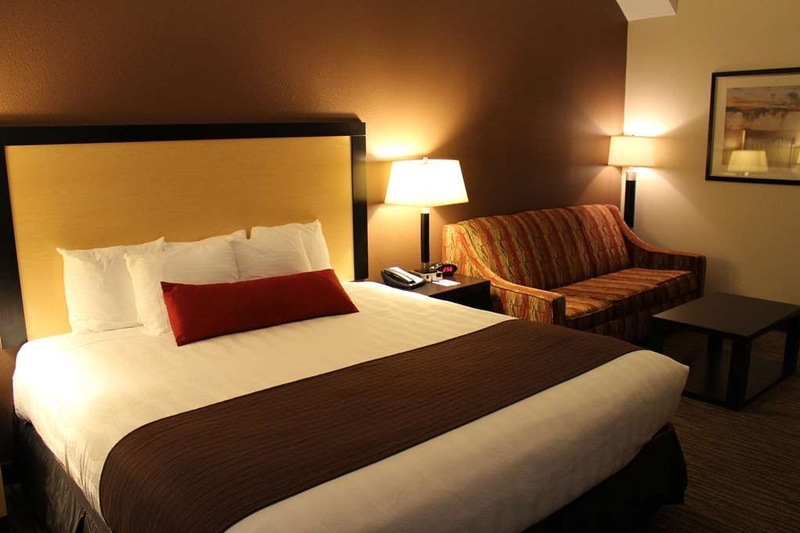 "Great Stay, clean room, nice staff, everyone was very kind. Even welcomed by the cleaning staff who were great." A very nice hotel with a Hot Chocolate Bar that was unexpected. Breakfast was also good. New pancake maker was fun to try and made very tasty pancakes. Bacon was crispy and good. A very good value in an unusual location. Hello! Thank you for taking the time to share your experience from our property on TripAdvisor. Your compliments inspire our team to continue to provide and lead the lodging industry in superior customer care. We recognize that you have other hotel options and we thank you for choosing us. It is our pleasure to serve you and we hope to see you again soon. We are so happy you enjoyed your stay with us! 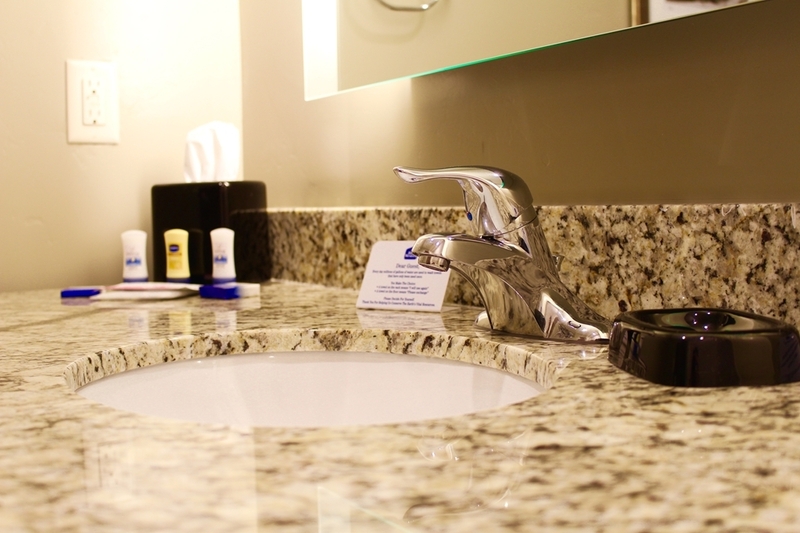 It is our continued goal to lead the lodging industry in superior customer care. Thank you for business and compliments about our team and facility. We appreciate you taking the time to share your experience on TripAdvisor. We look forward to seeing you again. Great hotel that actors to its guests, house cleaning will come when it's convenient for you not them and won't wake you up if you work nights. The breakfast is on time and of good quality. Front desk staff is professional and helpful. Thank you for participating in the TripAdvisor survey. I am happy to hear you enjoyed your stay! We strive every day to provide superior service to our guests. I am glad to hear the staff was friendly and accommodating. We look forward to seeing you again! Have a great day and Safe Travels. The pool was great. The breakfast selection was amazing. The staff was a huge help and very friendly. The fitness center was clean and up to date. The location was great and close to a lot of places. The view was nice too. Thank you for taking the time to share you compliments on TripAdvisor! We do our best to lead the lodging industry in superior customer care and thank you for recognizing our efforts. We would love to see you again on your next visit. "Good value - Friendly Staff - Room tip"
Overall: Would stay again. 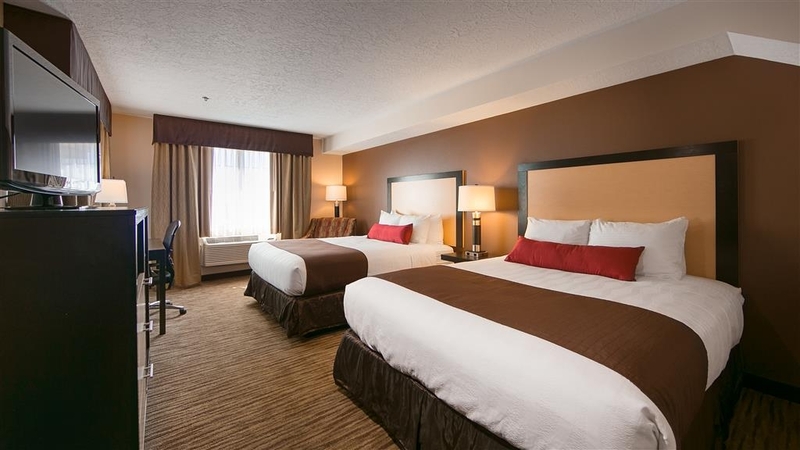 Good value, clean rooms, great staff Check in: quick, friendly and knowledgeable Room: Had queen bed. Lots of space, bed, pillows, sheets were good. Older room but clean. Lots of TV channels to chose from. Bathroom a bit dated but water was always hot and lots of pressure in shower. Room tip: If you go to bed early you may want to avoid room 220. It is directly over the pool and you can here people speak quite clearly in your room. Seemed to go quiet around 10 pm. Breakfast. I had two BW stays this trip. Found the hot breakfast options a little better than the one in Salt Lake City airport. Super friendly staff making sure your table is cleared quickly and everything is stocked. Location: You are going to need to drive to everything. On the outskirts of Ballard. Thank you for the review on TripAdvisor. Thank you for your feedback on your recent stay at our hotel. By providing us feedback you are helping us provide you and future guest a positive and memorable guest experience.Thank you for your business and loyalty to our brand. We hope to see you again soon! Love this hotel in the Uintah Basin. It's fairly new so it's one of the nicer hotels in the Roosevelt Area. Staff aren't always at the front desk but they are very friendly when you call them. Very reasonable rates. Great breakfast. Great bed and pillows. 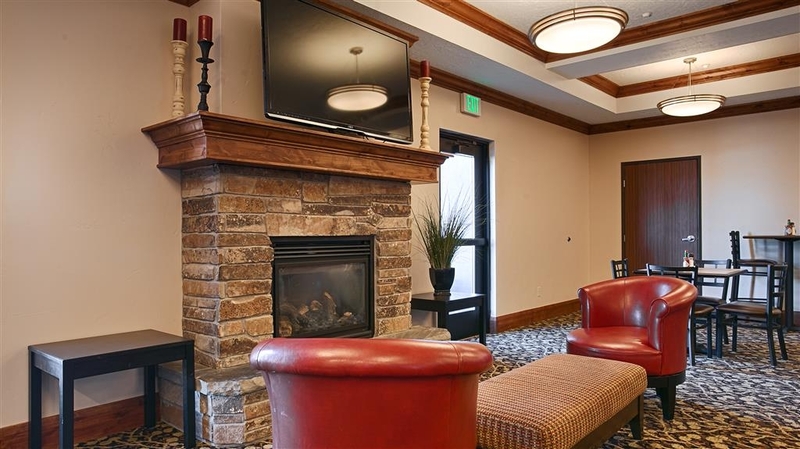 I usually stay with another chain hotel for my business trips, but that will change after my stay at Best Western Plus Landmark Hotel in Ballard, UT. The breakfast isn't straight out of the freezer-warmed up in the microwave-food. It's a fresh cooked buffet with a different main dish every morning. The staff is very accommodating and helpful. It's been a great experience! Thank you! We greatly appreciate the review on TripAdvisor. We strive to deliver superior guest experience and are pleased to hear that your enjoyed your stay. We appreciate all of your feedback and loyalty to our brand. We hope to see you again soon. Great location (for where I needed to be the next morning). Rooms were very clean and all the family had a great night's rest. Breakfast was good, too. 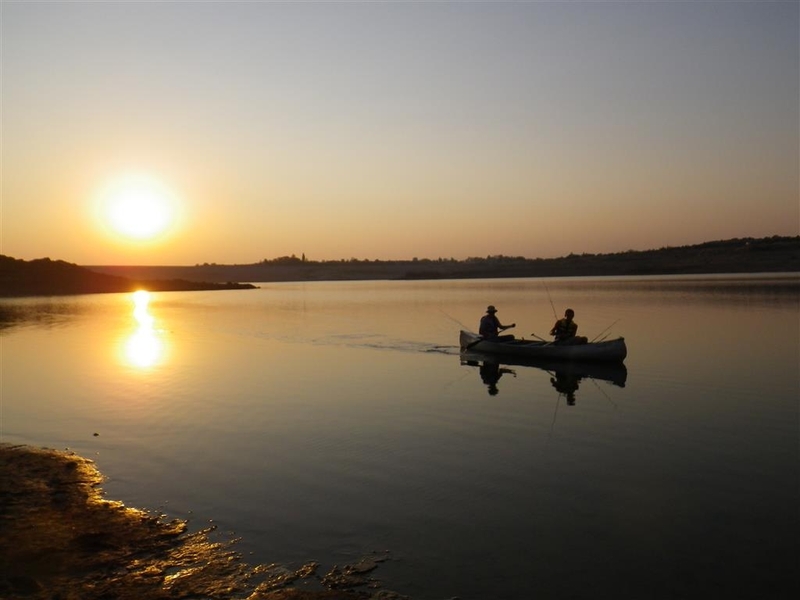 Normally I exclusively stay with Hilton Hotels - but due to the limited availability in the area was left with this property as the first option and was impressed. Thank you for taking the time to write a review on TripAdvisor. It was such a pleasure you decided to stay at our hotel. We strive to deliver superior customer experiences to our guests and hope you felt that during your stay with us. Thank you for your business and we hope to see you in the future. Stayed here one night on our way to Yellowstone. Had two rooms since we were a 5 member family. Checked in very late after a 12 hour drive like midnight ish. So didn't pay attention to paperwork while checking in and forgot to mention about our tiny pet dogs. Instead of calling us to let us know the manager sent housekeeping to knock on every door to rile up the dogs and make them bark. What a cheesy technique. All they need to do was call the room and say you forgot to mention pets. I had no problem paying pet fee but manager should have dealt it differently. Will just stick to la Quinta. Will never go back to this best western. I always like staying at this hotel. Clean and comfortable. I really like how they provide dinner on Tuesday nights and the breakfast is different every morning so you don't get burned out eating the same thing every morning. Thank you! You are so kind for taking the time write a review about our property on Trip Advisor. We have a mission to lead the lodging industry in superior customer care, and reviews like yours inspire us to keep going! Only stayed one night, but it was a great night. The hotel and rooms were clean and nicely decorated. We couldn't resist the fresh chocolate chip cookies at check-in. The front desk and breakfast staff were so friendly and helpful. Chris and Angelica were the best!! Thank you for taking time out of your day to share your experience with others on TripAdvisor. Our #1 priority is taking care of our guests and exceeding their expectations during their stay, I truly hope you felt that during your recent stay. We hope to see you again! Hotel staff is excellent and provide great customer service. Overall facility is clean and everything you would expect from a hotel. Free breakfast choices are numerous. Pool and jacuzzi were also clean and in good working order. No issues here whatsoever on my stay. It's a mile or two east of the town center but it's definitely where I would go if looking for a hotel in Roosevelt. Thank you Brian! We greatly appreciate this wonderful review on TripAdvisor. We strive to deliver positive and memorable guest experiences and appreciate your feedback to help us continue doing so. We value your business and loyalty to our brand. We hope to see you again soon. I was pleasantly surprised with this hotel. Everything was very clean, staff super friendly and breakfast was good. Ample space to walk the dog. The hot tub though. Not wanting a staph infection, I avoided. It was a sci fi color of green. Thank you! We greatly appreciate you taking time to write this review on TripAdvisor. By giving us feedback your are helping us ensure we are providing a superior guest experience and where we may need to make improvements. We appreciate your feedback and your loyalty to our brand. I'm sorry to hear that our pool was green during your stay. We hope to see you again. 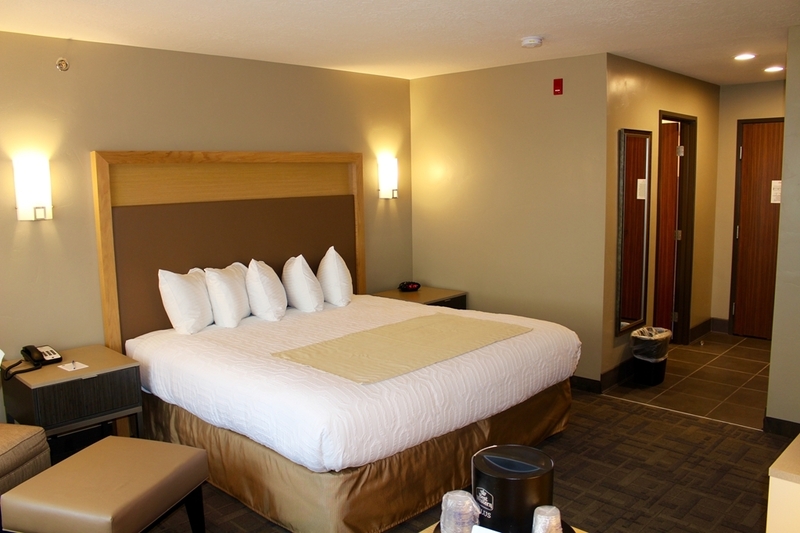 "Clean, comfortable respite in Roosevelt"
Stayed here for business. Hotel was nicely appointed. Room was very clean. Loved the sterilized TV remote and provided soap dish. Great breakfast-eggs, biscuits & gravy, sausage and bacon, waffles and pancakes--something for everyone. Appreciated the 24/7 beverage service in the lobby. Thank you! We greatly appreciate you taking time to write this wonderful review on TripAdvisor. By giving us feedback your are helping us ensure we are providing a superior guest experiences to you and future guests, and where we may need to make any improvements. We appreciate your feedback and your loyalty to our brand. We hope to see you again! "This is the way a best western plus should be"
Checked in just after six thirty. The gold rewards package was a selection from their snacks and beverages bar. Very nice. The room was ready for us and we were able to bring all our stuff in from the car. Pool and hot tub were refreshing, friendly guys in the hot tub offered my a beer, I declined. Desk people offered options for dinner down the road with commentary on quality. I liked that, although, the china place talked about was closed. Breakfast was good and staff was particular about look and presentation. Thank you for taking time to write this wonderful review on TripAdvisor. We strive to deliver positive and memorable guest experiences to our guest and hope we exceeded your expectations during your stay. We greatly appreciate all your feedback. Thank you for your business and loyalty to our brand. We hope to see you again soon! The staff at the front desk were very friendly and efficient. The plus name in this hotel's name was appropriate, since the room size, decor, and amenities were top-notch. 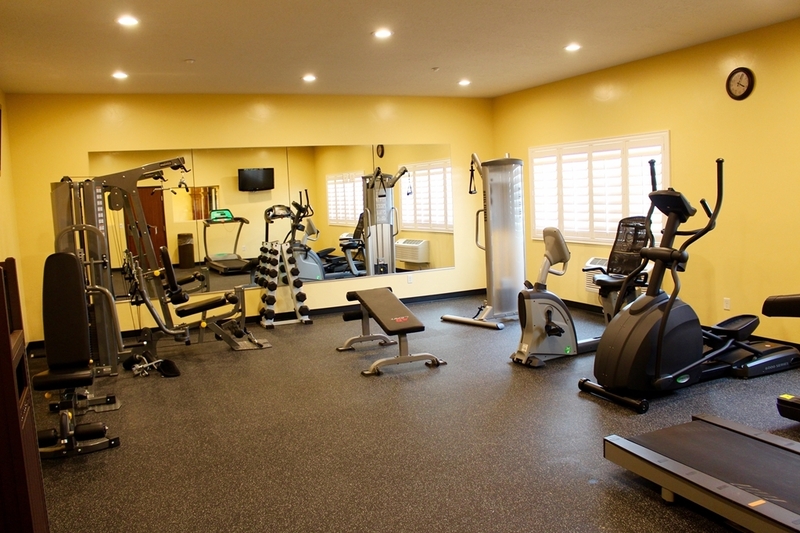 The hotel has a very good fitness room, which we used. We also used the hot tub, which was nice and hot and refreshing. This is a truly nice place to stay while in the area. "Great hotel! The staff was OUTSTANDING!!!" I stayed at this hotel on June 4th 2018 during business travel. About the area: Ballard, Utah is just east of Roosevelt, on the way to Vernal. (It's about a 40 minute drive from Roosevelt to Vernal) There are lots of farms as well as oil wells in this area. Most businesses, such as eating establishments close at or before 9pm. There are several fast food establishments, and a very small handful of eat-in places. Right next to the hotel about 2 blocks, is Mi Casa, which serves Mexican food as well as steak and potatoes. (Potatoes are served after 5pm). I ordered 2 enchiladas and a hard taco. The food was quite good! Better than I expected. I had dinner at Rocky's Place, which serves burgers, shakes, and chicken. The food wasn't bad. The employees were a bit loud and obnoxious, however. Down the street from the hotel is the Echo Drive-In Theater. Unfortunately the drive-in is only open on Friday and Saturday nights, so I wasn't able to go there, but I sure wanted to! If you're staying in town on a weekend during the summer, and are traveling with kids, the drive-in would be a great family experience. It's in a very scenic location. The hotel is located on the east end of town. About the hotel: The lobby has a very nice look and feel to it. I walked in the front door, took one look and thought, "Ahhh, this is nice!" I was promptly greeted by a clerk at the front counter. She was soooo nice! She even offered suggestions for where to go have lunch and dinner without me even asking. That's how on top of things the staff of this hotel was! They were outstanding! They treated me like royalty! The hotel has a pool, although it's quite small; about the size of a backyard pool I guess. There's also a hot tub. My room was very nice. It was big! It was also SPOTLESS! It had a king-sized bed and a large sofa sleeper. There was also a large counter with a sink. I guess you call this area a wet bar? It had a good-sized refrigerator, a small microwave, and a coffee maker. Pretty nice! The furniture looked nice, I didn't see any scratches or scuff marks on anything. Room had a large, flat screen TV, with lots of channels, including Starz and HBO! Wi-Fi was complimentary and worked well. It was fast. The room had a closet with plenty of hangers, an iron and board, and a pretty nice blow drier (much nicer than what you'd typically see in a hotel) with attachments. I didn't see an in-room safe, but they do offer a deposit box at the front counter. The bathroom was adequate size. Not huge, but nice. Plenty of room, decent counter space. The shower worked well. Plenty of hot water and water pressure. Nice, adjustable shower head. Bed was very comfortable. Lots of pillows. The hotel offers a complimentary breakfast in the mornings, which was quite good. The hostess in the breakfast room was every bit as nice as the people running the front desk. She would walk around, greeting the guests, asking if she could get them anything, etc. She was superb! Turns out, on different nights, the hotel ALSO offers a complimentary dinner! They were having one the night I was leaving, otherwise I would have loved to attend. Sooo...... That's how my stay was. I REALLY liked this hotel, and if I'm ever out this way again, I'd book this place in a heartbeat. It's a nice hotel! Wow! Thank you for the incredible review on TripAdvisor. We appreciate your feedback and will use all your kind comments to continue to provide superior guest experiences to you and future guests. Thank you for your business and your loyalty to our brand. We hope to see you again. Thank you! We stay here often for work. Very nice and friendly staff that always make you feel welcome. Rooms are clean and comfortable. Some of the rooms have a two burner stove, sink and small refrigerator with freezer which is nice for extended stays.They have a great breakfast. Highly recommend staying there. Hello! Your compliments are very kind and greatly appreciated. On behalf of our team, we thank you for your continued business and for taking the time to write a review on Trip Advisor. We encourage each of guests to give us feedback about our services, this helps us achieve our mission of leading the lodging industry in superior customer care. If there is anything I can do for you in the future, feel free to contact me directly at (435) 725-1800. Again, thank you for your loyalty to our brand. My stay (5) at this Hotel has been a most pleasant experience. I was treated by all employees as if I was the most important person in the Hotel. The breakfast was always served on time. The attendant catered to the guest. Food was hot and served in pleasant looking trays. Fruit was pleasing in appearance and fresh. The tables were kept clean and entire room was clean and comfortable. The desk clerk was always available for questions, change, sale of items i.e. ice cream, sodas, and other incidentals. 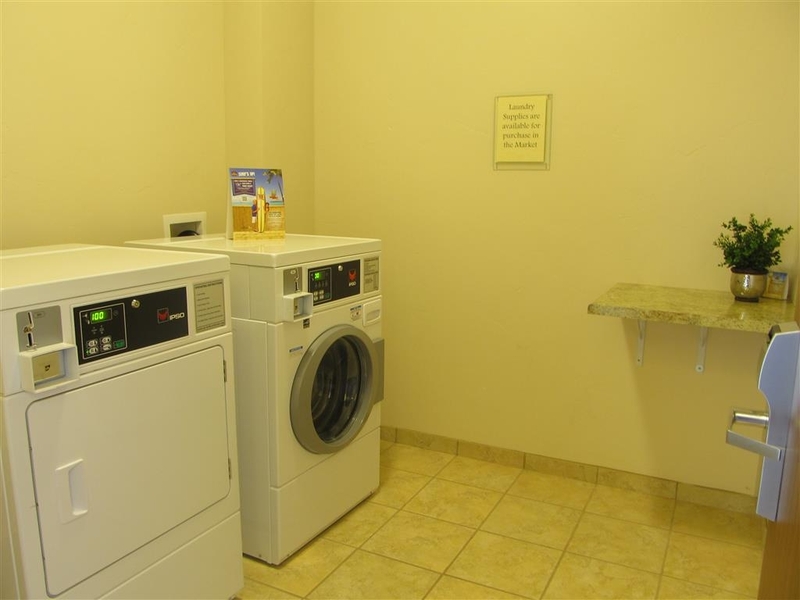 I used the laundry facilities, the room was clean and orderly and the machines were clean and fully operational. My expectations were greatly exceeded in all areas!! Thank you for the review on TripAdvisor! We greatly appreciate your wonderful compliments and feedback. We strive to deliver these superior guest experiences by making our guests feel at home even when they are away from home. We hope you truly enjoyed your stay with us. We value your business and loyalty to our brand. We hope to see you again soon! 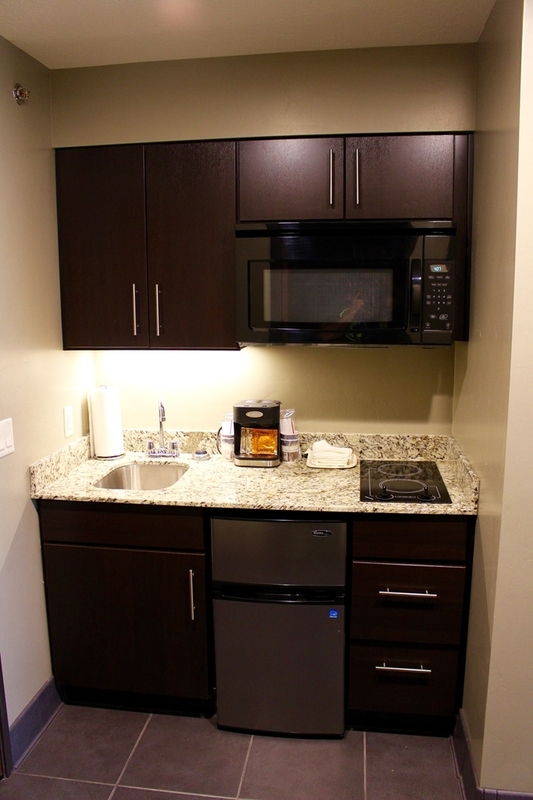 Clean rooms with great amenities like a full kitchen in room with dishes and pots, allowing to cook in room.. Friendly and helpful staff at check in and check out. Breakfast was good quality and presented in a clean atmosphere. The breakfast staff went out of their way to help clear dishes. Overall a Great atmosphere. Everyone from maids, kitchen, maintenance to management are engaged to make your stay wonderful. The beakfst are great. Rooms as well as entire hotel very clean. Pool and hit tub great. I have never been in such a well run facility. 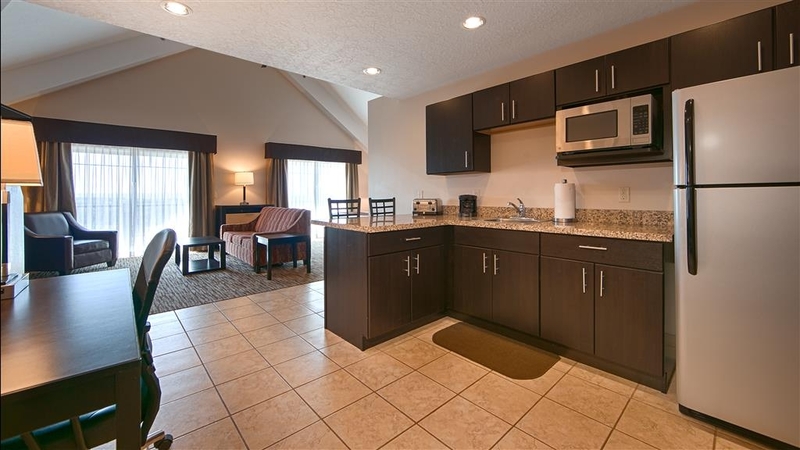 Very clean and well maintained common areas, rooms are clean and comfortable. The service from all staff is exceptional. They are very attentive and friendly to all guests and willing to serve in any capacity to improve the quality of your stay. Thank you for this amazing review on TripAdvisor! We strive to deliver superior guest experiences which every guest that arrives at our hotel. We hope you felt that during your stay and we done everything to make your stay memorable. Thank you for your feedback we greatly appreciate it. Thank you for your business and loyalty to our brand. We hope to see you again. We had to visit Roosevelt on family business and our stay here at the Best Western could not have been more lovely. Every single person that we encountered went out of their way to make us feel welcome. We arrived in our spacious kitchenette room to find it stocked with pots, pans, silverware and dishes... there was even a cute rabbit on the end of our bed that had been fashioned out of towels. The pool was very warm and our kids loved swimming. Each afternoon there were fresh cookies at the front desk and the coffee, cocoa and water bar were always stocked, complete with mini marshmallows and crushed candy canes! Each morning we enjoyed the complimentary hot breakfast. This was truly amazing because of the variety of food that was offered. 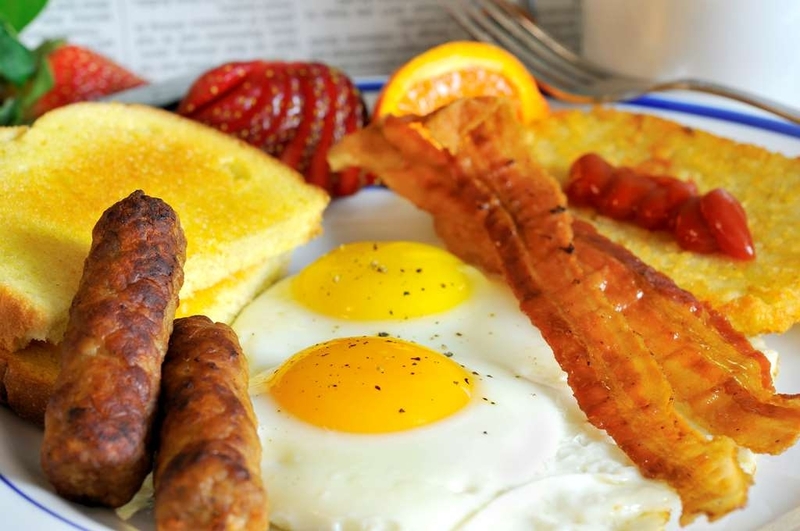 Everything from fresh fruit, oatmeal, toasts, muffins, scrambled eggs, sausage, bacon, pancakes and waffles. And then there were the toppings: savory items like jalapeños and salsa all the way to sweet items like strawberry preserves and white chocolate chips. I'm sure we have never experienced a nicer hotel breakfast. Our rooms were so clean and nice and we all got much needed rest on those comfortable beds. We will be back again and again! A special thank you to the breakfast staff and the front desk staff that made sure my kids' hot cocoa was piled high with whipped cream both at breakfast and after swimming in the pool at night. They loved it! I can't thank you enough for your hospitality! Thank you for the amazing review on TripAdvisor! We greatly appreciate all your feedback and it helps us continue to better serve you and future guests. Our top priority is to provide our guests with positive memorable guest experiences. We appreciate your business and loyalty to our brand. We hope to see you again soon. Hotel was very clean, including all public spaces as well as the room. The included breakfast was pretty standard and appropriate. The breakfast lounge was comfortable and had adequate seating. The staff was extremely friendly and helpful. When traveling through i would stay again. Thank you for taking time to write a review on TripAdvisor. It seriously makes my day when we receive such detailed feedback. We strive to deliver positive and memorable guest experiences, by giving us feedback you are helping us continue delivering these experiences to you and future guests. We appreciate your business and loyalty to our brand. We hope to see you again. Customer service is key here. They were very polite and helpful. Rooms are great. Once a week they treat customer to a home cooked dinner. Morning breakfast is superb with real eggs bacon and sausage. Thank you for taking time to write a review on TripAdvisor. We strive to deliver superior guest experiences to our guest, receiving feedback helps us make that possible. We appreciate your business and loyalty to our brand. We hope to see you soon. Found cockroach in pile of wet towels in bathroom!!! Fell out when I picked them up to move them. Positive it was a cockroach it was huge!! And it ran behind towel shelves in bathroom!! I also witnessed the housekeepers being treated terrible! Why can't the employees be appreciated and treated as good as us guest are? Thank you for the wonderful review on TripAdvisor. Can I just tell you how amazing it is when we not only receive detailed feedback from our guests, but you mention one of my staff by name. I'm so glad to hear that Lynn exceeded all of your expectations during your recent stay with us. I'll be sure to show him your review! Thank you for your business and loyalty to our brand. We hope to see you again soon! The rooms here are very nice. This hotel is only about five years old. 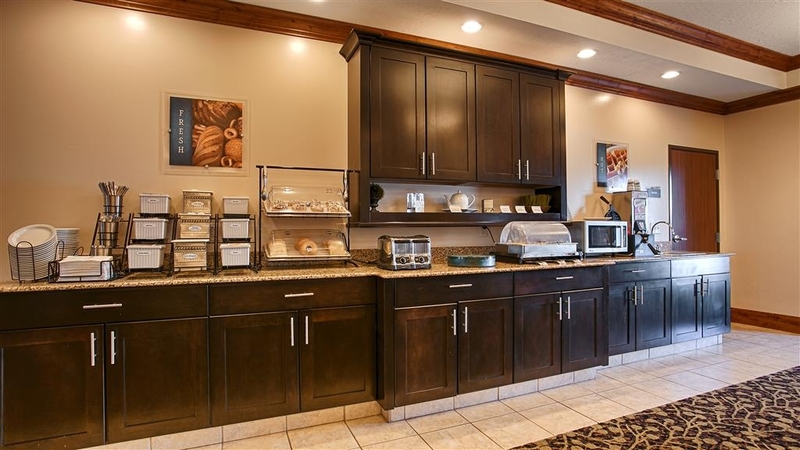 The breakfast area is roomy and the breakfast has many delicious options. The pool is nice as well. We love to stay here when visiting family in Roosevelt. Thank you for taking time out of your day to write this amazing review on TripAdvisor! Thank you, everything that we do is to recieve feedback like you provided. We strive to deliver superior and memorable guest experiences to our guests. Thank you for your business and loyalty to our brand. We hope to see you again. Hotel was beautiful and the staff was very helpful and polite. Breakfast was hot and had a good variety. They even scraped our windshield in the morning!! It was only 1 degree outside so we were very appreciative of that extra service. Thank you for taking the time to write a wonderful review on TripAdvisor. Thank you for your feedback. I'm very pleased to hear that the "little" things we do were a memorable guest experience for you. Thank you for your buisness and loyalty to our brand. We hope to see you again soon! This is a great addition to the area and it gives you a good place to stay. Clean rooms and nice people. Good location and a great best western. I have stayed here a few times and would reccomend it to anyone. Amazing review! Thank you for taking time to review us on TripAdvisor. We are very pleased to hear that you enjoyed your stay with us. We strive to deliver superior customer care and hope we did everything to exceed your expectations during your stay. Thank you for your business and we hope to see you again in the future. If I can be of assistance in the future, please don't hesitate to contact me directly at 435-725-1800. Thank you for your loyalty to our brand! "Great hotel with a wonderful staff." Really enjoyed the stay at this hotel and the staff was wonderful (especially Chris). Clean room, cozy bed, fresh and tasty breakfast and great recommendations from the staff about the area. Highly recommended. Also the Hideout stake house nearby has delicious food. Hi! Wow! Thank you for reviewing our hotel with such detail! Your compliments are much appreciated and inspire us to continue providing superior amenities and services to our guests. We appreciate you taking the time to share your experience on TripAdvisor so that others can see what our hotel has to offer. Thank you for your business and loyalty to our brand. We hope to see you again soon. "No better place near Roosevelt"
Thank you for taking time to write a review on TripAdvisor! Can I just say this review is awesome! We really do strive to deliver superior guest experiences and I'm thrilled to hear that you received nothing short of this. We value your business and your loyalty to our brand. We hope to see you again soon! Thank you! The staff is very friendly. The rooms are clean and comfortable. I stay here once a month for work and I have never had any problems. Great service and great experience every time I stay. Highly recommended. Friendly and attentive staff go above and beyond in keeping this hotel super clean and will help with whatever you need. The breakfast has enough variety to satisfy the needs of almost everyone, is fresh, hot and tasty. The rooms are spacious and comfortable and the pillows can be 'fluffed' to suit personal tastes (firmer/softer). Super impressed with the cleanliness and staff. This is the BEST place to stay in the Basin! Thank you for taking time to write this amazing review on Trip Advisor. We are very pleased to hear that you enjoyed your stay with us. We strive to deliver superior customer care and hope we did everything to exceed your expectations during your stay. We want to take the time to thank you for your business and we hope to see you in the future. Thank you! "When in the Basin dont bother staying anywhere else!!!" The Best Western here in Ballard Utah is AWESOME!!!! We have stayed here at the Best Western in Ballard for the last year and a half and they have taken such great care of all of our crews and made us feel like we were right at home! The rooms were great and spacious and VERY clean!!!! A no brainer when trying to choose a place to stay in the Basin! Awesome review! Thank you for taking time out of your day to write a review on TripAdvisor! We want to lead our industry in superior customer care. I hope you felt that during your stay each time. It has seriously been a pleasure working with your crew and so glad we could make you all feel at home. Thank you for your business and loyalty to our brand. We hope we get to see you and your crew again. "Decent hotel but terrible sleep"
I stayed here just one night with my family. I was impressed with the exterior of this place, it looked fairly new. The room was a standard size and the bathroom was pretty average. I would have given all of this four stars but then we looked at the beds. The queen size bed had 5 pillows on it and one of them was a decorative roll pillow. The other four pillows were obviously for sleeping and had white pillow cases on them, however they were also the size of decorative pillows. All four pillows lined up barely reached across the bed. And they were very hard. Every person in our room struggled to sleep on those tiny pillows. If you are on a road trip you could certainly stay here but I would say bring your own pillow! Thank you for taking time to write a review on Trip Advisor. I'm sincerely sorry that you were not please with our pillows, which caused for a rough night with no sleep. We typically don't get feedback on the size of our pillows, thank you for your very valuable feedback. We'll definitely look into possibly getting a bigger size pillow. Thank you for your loyalty to our brand. We value your business and hope to see you again. The location, hotel staff and breakfast are superb. Truly an awesome relaxing place to rest, regroup and revisit. I highly recommend you stay at the Best Western Timpanogos Inn. I stay here for business and Leisure and have never had a complaint about this location ever. Good morning Phil! You're so sweet, I'm delighted to hear your kind comments about our hotel. We strive to lead our industry in superior customer care and truly hope you felt that during your stay. Thank you for your business and loyalty to our brand. We hope to see you again soon. Thank you for the feedback on your stay with us. We strive everyday to provide an superior guest experience for each of our guests and we are so glad that we were able to provide that for you. Thank you for your business and loyalty to our brand. We hope to see you again very soon. In comparison to Hilton Properties, which is where I usually stay, this hotel was comparable to a Hampton Inn. I enjoyed it. Everything was clean, service was good. No complaints. I'll stay there again. Thank you for taking time to write a review on TripAdvisor. We strive to provide superior customer care to all of our guests and value your feedback! I sincerely hope you felt that during your recent stay. Thank you for your business and your loyalty to our brand. We hope to see you again in the future! Thank you! Great place to stay. Clean, comfortable room, friendly staff and everything worked as it should! Friendly and quick checkin and checkout. Parking is a bit awkward, but doable. Not sure I was actually parked in the hotel lot. Thank you for taking time to write us a wonderful review on TripAdvisor! We strive to deliver superior guest experiences. I'm so glad you felt that during your stay with your towel animal and friendly and helpful staff. I would love to get a little more feedback about the parking situation that occurred during your stay. Thank you for your business and loyalty to our brand. We hope to see you again! If I can be of assistance in the future, please don't hesitate to contact me at (435) 725-1800. We stayed in the family loft room, which comfortably slept our large family. 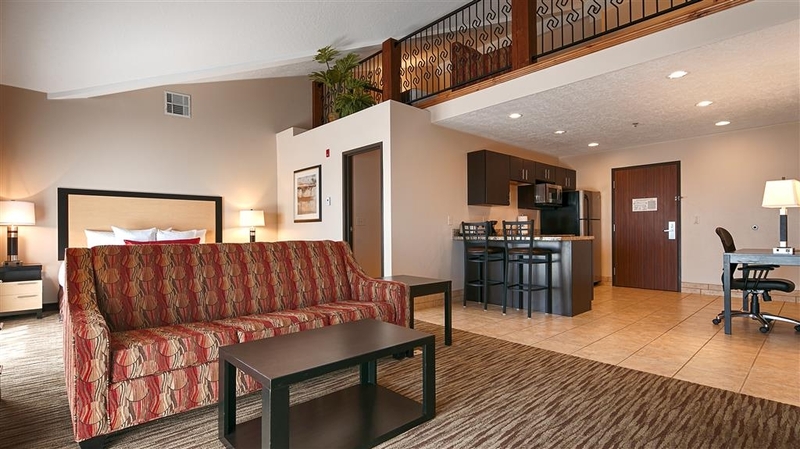 We were surprised by the large jetted tub and separate walk-in shower, and the balcony and fireplace were nice touches. The staff was very accommodating and friendly. Breakfast was excellent. 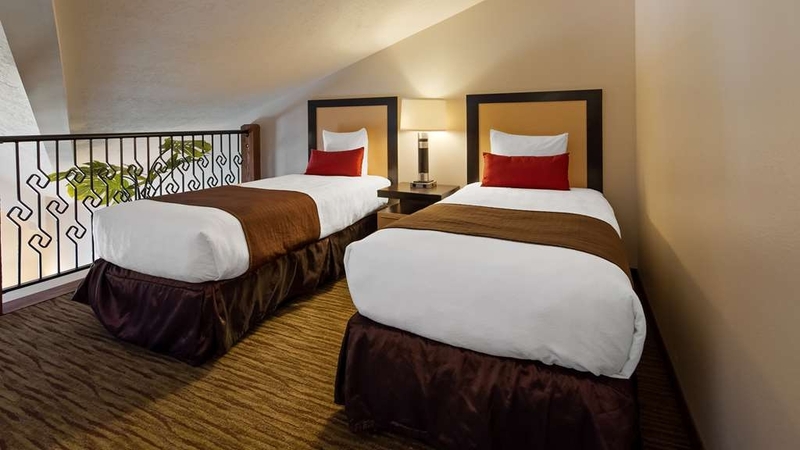 We would definitely recommend this hotel and this room for families looking for a place to stay in close proximity to Dinosaur National Monument. Thank you for the review on TripAdvisor. I must say this is an amazing review! By telling us what you liked or how we could improve helps us continue providing superior guests experiences to you and future guests. Thank you! Thank you for your business and loyalty to our brand. We hope to see you again soon. "Excellent Hotel for a Small Town"
The Best Western Plus Landmark in Ballard was a clean lovely little hotel. 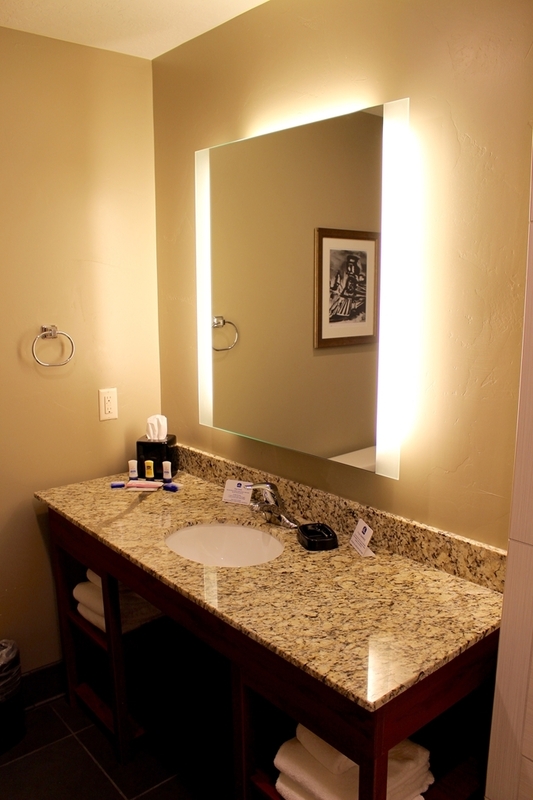 The room was beautiful, clean and we found the staff more than accommodating. If we made a request of the front desk staff, they took care of any issues immediately. This is a very pleasant place to stay. Thank you for the awesome review on TripAdvisor. We greatly appreciate your feedback. Its give us such a warm feeling when we these amazing reviews. It really helps us know what we are doing right. I truly hope we exceeded your expectations during your recent stay. We appreciate your business and loyalty to our brand. We hope we get the pleasure of seeing you again. This was a great hotel for our USA road trip. The staff were friendly and helpful and check-in was easy. Having an in-hotel full breakfast was a bonus which meant we didn't have to go out and pay for one. The room was really nice with all the amenities one expects of Best Western. Thank you for your amazing review on TripAdvisor! We want to thank you for your feedback. We strive to lead our industry in superior customer care. We hope you enjoyed your stay with us and it was nothing short of wonderful! Thank you for your business and loyalty to our brand. We hope to see you again when your out this way! Stayed four nights in this newer hotel and slept like a baby! Hotel is clean, rooms are large (I had a King bed) and all the amenities you could need or expect are available. Staff was exceptionally friendly, and the breakfast was beyond continental. Scrabbled eggs, country fried potatoes, bacon, sausage, hot cakes, and then all you usual cereals, rolls, etc. Fresh coffee 24/7 plus in room coffee. Used the pool and hot tub and both were great! The place was packed busy with oil-field workers of one sort or another yet there was always minimal noise so I slept soundly each night. 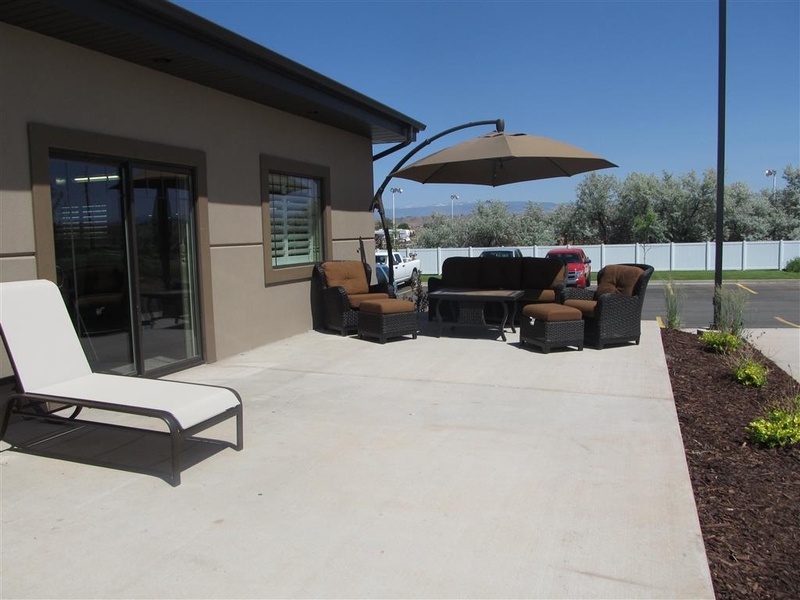 Really nice patios with comfy furniture so you can sit and enjoy the moon rise. Absolutely one of the better hotels I have stayed in of late! Wow! Thank you for the incredible review on TripAdvisor. We appreciate your feedback and will use all your kind comments to help better provide superior guest experiences to you and future guests. Thank you for your business and your loyalty to our brand. We hope to see you again. Thank you! "Staying at BW, Ballard, UT"
It was great. I love staying here. So nice to have a great hotel to stay at while working hard out in the Basin. Good breakfast, I really like that they do dinners now on Tuesday nights. And I like the BW rewards program. Thank you for taking the time to share you compliments on Trip Advisor! We do our best to lead the lodging industry in superior customer care and thank you for recognizing our efforts. We would love to see you again on your next visit. It is well worth the few extra miles to drive to Ballard for this hotel! Friendly staff, beautiful hotel, great rooms, excellent free breakfast served by friendly staff, only thing missing was bottled water in the room! I'm sure they would have provided, but we didn't ask! Staff provided free dinner for all customers! AND the Ute Supermarket has the BEST BAKERY in the area! Not to be missed! Hello! Thank you for your feedback on Trip Advisor. We recognize the importance of superior customer care and are very grateful you felt that during your stay. Unfortunately, we don't put complimentary water in our guestrooms. Thanks you that's a fantastic idea, many improvements come from guest feedback. We appreciate your business and would love to see you again. This was a beautiful hotel with excellent rooms and staff. They were friendly and welcoming. We watched as they worked with a large group of golfers and two bus loads of high school football and cheer leaders check in. They did everything they could to make the process efficient The front desk staff of Chris and Lynn were wonderful. Thank you for taking time to review us on Trip Advisor. We are very pleased to hear that you enjoyed your stay with us. We strive to deliver superior customer care and hope we did everything to exceed your expectations. We want to take the time to thank you for your business and we hope to see you in the future. Thank you! The staff was incredibly friendly and helpful. Hotel was clean and rooms were nice. Love that the pool is open 24 hours. It was also a nice added touch to have the linens in the room arranged as an elephant to celebrate National Elephant Day. Our young son was very excited to see that. Thank you for taking time to write us a wonderful review on TripAdvisor! We strive to deliver superior guest experiences. I'm so glad you felt that during your stay with your towel animal and friendly and helpful staff. Thank you for your business and loyalty to our brand. We hope to see you again! Thank you for the review on TripAdvisor. I must say this is amazing! Hearing what you liked our dislike about your stays allows us the chance to provide superior guests experiences to you and future guests. Thank you! Thank you for your business and loyalty to our brand. We hope to see you again soon. The best experience in a Hotel. 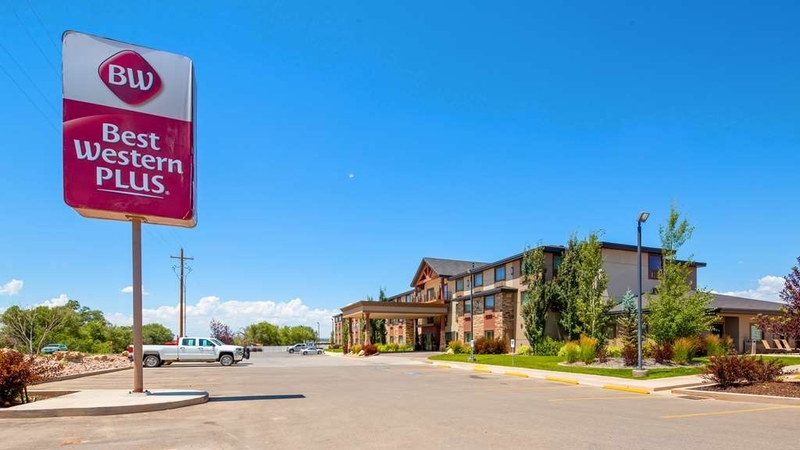 Great service, great employees and staff, great looking hotel, reasonable rates, ammonites included pool, WYFI, breakfast and dinner, store for forgot items. 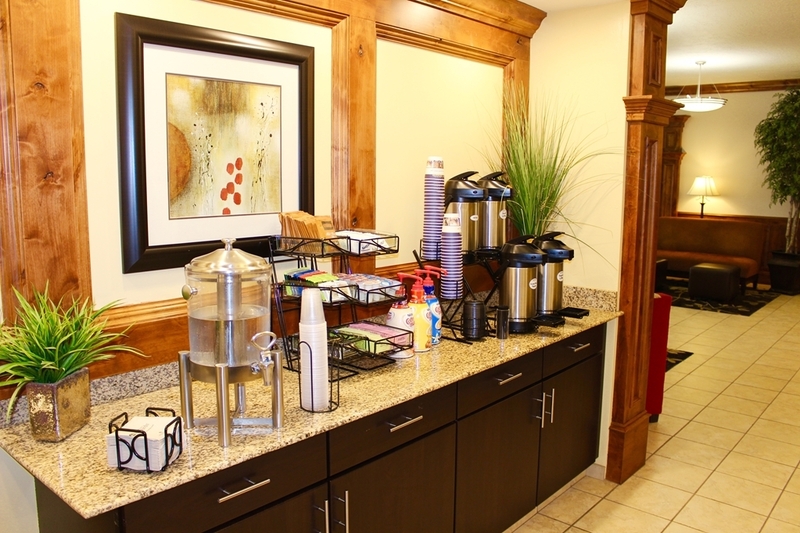 coffee bar, complementary cookies, ideal parking areas, top security and much, much more. I just love this review! Thank you for taking time to write this review on TripAdvisor. We strive to deliver memorable positive guest experiences and I truly hope that is what you received! We hope you come back and see us again. Thank you for your business and loyalty to our brand! 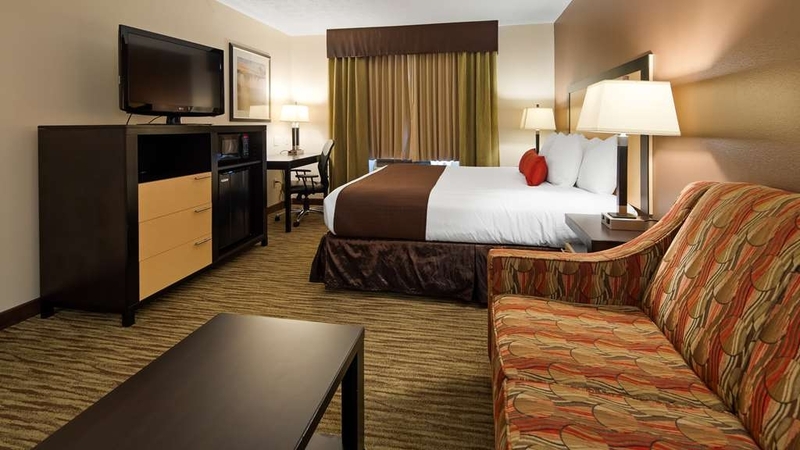 "Great Stay at Best Western Plus Landmark Hotel, UT"
Very clean rooms and great staff. Check-in was great, fast and easy process. The gym is clean and full of good workout equipment. Hotel is very close to good restaurants. Very good manager dinner on Tuesday evening. Thank you for taking time to write an wonderful review on TripAdvisor. We want to always do our best to exceed our guest expectations and deliver superior customer experiences. Thank you for your amazing feedback. We appreciate your business and your loyalty to our brand. We hope to see you again soon! Thanks again! This hotel was very nice and clean. Front desk staff were friendly and helpful. We were traveling across the country by motorcycle and they provided us with access to a hose and all the cleaning supplies we needed to wash our bikes. I would definitely stay here again if in the area. Thank you for taking time to write a wonderful review on TripAdvisor. We strive to lead our industry in hospitality with superior customer care. I love hearing feedback from our guests to help us make any necessary changes to ensure we are always delivering superior customer experiences. We appreciate your business and your loyalty to our brand. We hope we get the pleasure to see you again. This was just an overnight for us on the way to Jackson. Clean, great bed and good breakfast. Plus, everyone was so nice. A little off the beaten track if you are headed to Wyoming but directly on the way to Salt Lake City. Worth stopping. 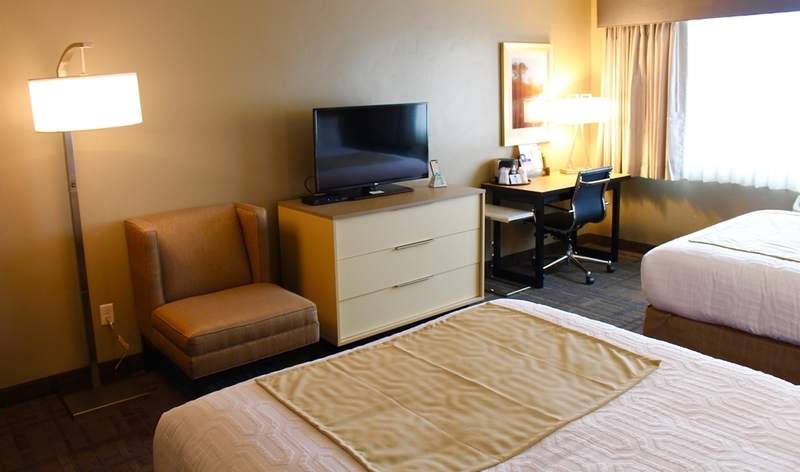 This Best Western is a great place to stay while visiting or traveling through the area. 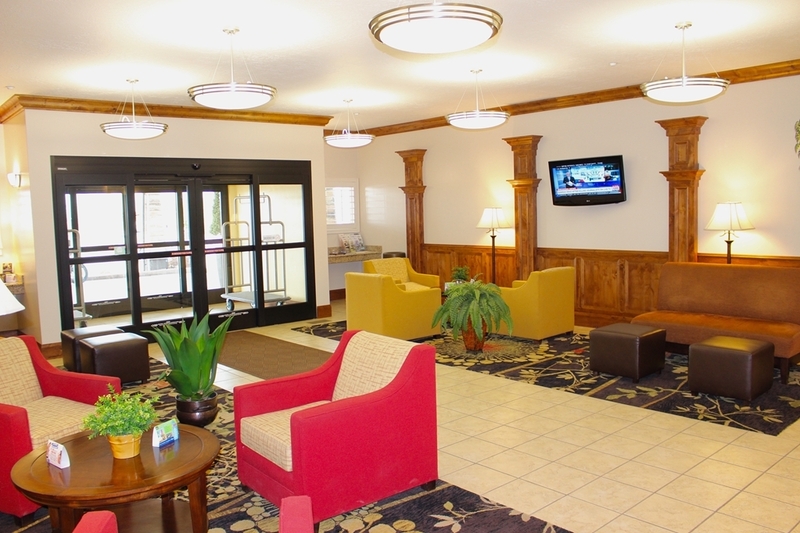 Great rooms with many amenities, clean, very comfortable attractive lobbies. The breakfast was very, very good with lots of choices. Staff was very friendly, competent, and attentive. Thank you for taking time to review us on Trip Advisor. I absolutely loved your review! We are very pleased to hear that you enjoyed your stay with us. By telling us your feedback you are helping us deliver a superior experience for you and other future guests. We hope you will come back and see us again. "couldn't t ask for more"
Was glad to find this hotel in the high Utah desert. Great check in service was exceptional. Room was fairly new and comfortable. Hotel had food at the front counter and it saved us from having to go out after a long day on our motorcycle. Wow! Amazing review! Thank you for taking a minute our of your day to write a review on TripAdvisor. We value guest feedback to ensure we are doing everything to deliever superior customer experiences to our guests. We appreciate your business and your loyalty to our brand. We hope to see you again. This location was either new or very well kept. The staff was amazing and very cheery. They were also exceptional with our teenagers. They took advantage of free hot cocoa and cookies a little more than they probably should have and the staff was fantastic with them. They also had the pool open 24/7 during our stay which was an unexpected perk! I'd definitely stay here again. Thank you for taking time to review us on Trip Advisor. We are very pleased to hear that you enjoyed your stay with us. By telling us your feedback you are helping us deliver a superior experience for you and other guests in the future. We hope you will come back and see us again soon. If I can be of assistance in the future, please don't hesitate to contact me at 435-725-1800. Thank you for your loyalty to our brand! As a sponsor for the yearly car show, we originally tried to reserve a different hotel. That was booked and had to find an alternative. Very grateful that we didn't get the other hotel. Although many of our friends were booked there, the Best Western was by far the better choice. 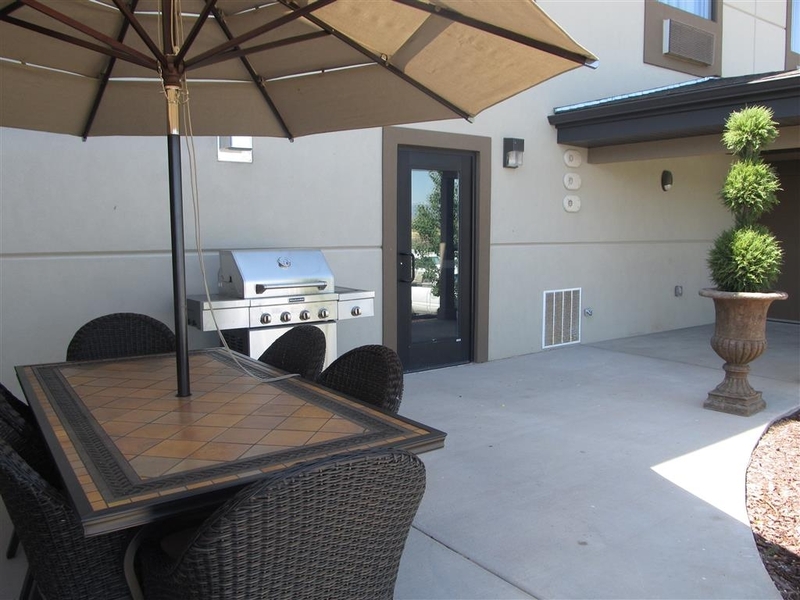 Landscaped grounds, very clean, trailer parking, immaculate rooms, friendly staff. Lynn and Angelica were extremely knowledgeable and friendly. Will stay there every time we travel. Loved the experience! Beautiful room and great breakfast. Great value in a great little town. They even have a snack bar right in the hotel for those late night snack attacks, a little pricey but good. We will definately be returning.Loved it. Thank you for taking time to review us on TripAdvisor. We are very pleased to hear that you enjoyed your stay with us. We take pride to ensure we are delivering superior customer care and hope we did everything to exceed your expectations. Thank you for your business and your loyalty to our brand! We hope to see you again soon. For a hotel in a rural area, this was great. The pool and fitness areas are adequate. the rooms were nice and the staff was always helpful and upbeat. My only complaint was that the wifi wouldn't connect to my mobile devices, but worked will on my computer. Thank you for taking time to write a review on Trip Advisor! I'm so sorry to hear you had trouble connecting to the internet on your mobile devices. We would love to help you in the future to ensure you don't continue having the same problem. Thank you for your business and your loyalty to our brand. We hope we get another chance to provide your with superior customer care. Thank you again! 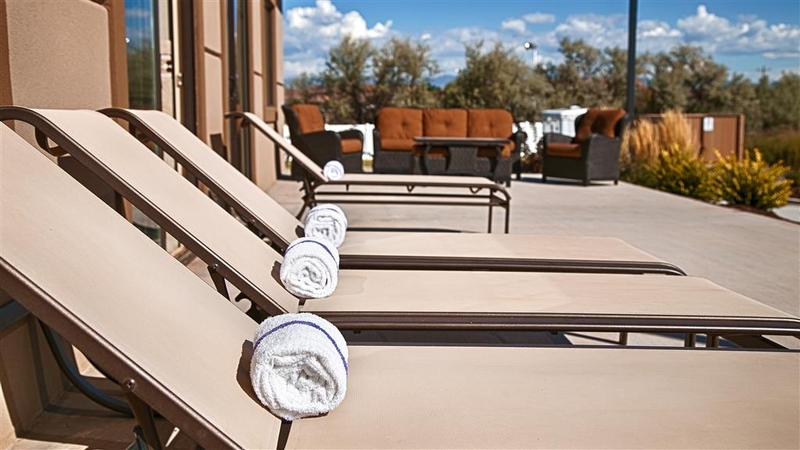 "BIg Surprise in the Middle of Utah"
Thank you for the amazing review on Trip Advisor! Our top priority is making sure we are delivering our guests with superior customer care during their stay - I hope yours was nothing short of amazing. Thank you for your business and your loyalty to our brand! We hope we get the chance to see you again. My wife and I were on our way to Colorado from Oregon for a family reunion. I 'm a Best Western rewards member and look for Best Western when possible. This property appears new and is a nice facility. The staff was helpful and professional. I recommend it. Thank you for taking the time to write a review on TripAdvisor. It was such a pleasure you was able to find our hotel. Thank you for your business and we hope to see you in the future. Thank you for your loyalty to our brand! We found this wonderful gem of a hotel just through the Best Western network. 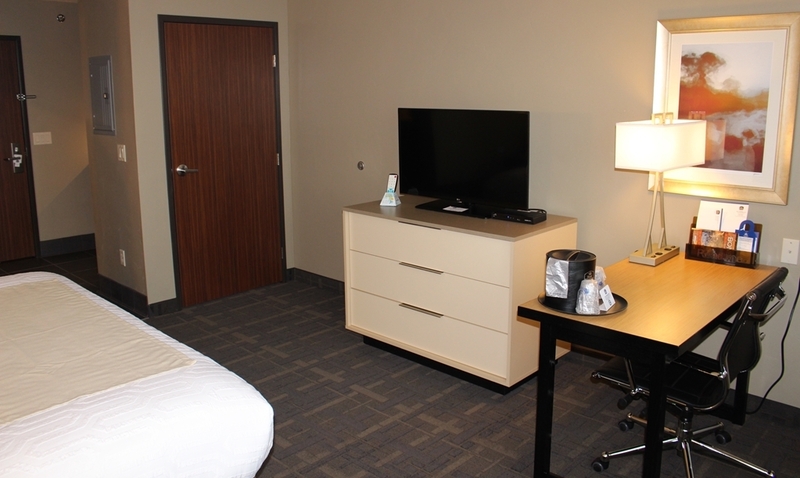 The facility is very new, rooms are gorgeous and very quiet (we were on road side, but no noise distractions), the staff was most helpful and very dedicated to solving an issue at check in. The little town is quaint and people at the grocery store were like family! Great car wash in town!! What an amazing review! Thank you for taking the time to share your experience on Trip Advisor. We strive to deliver a superior guest experience for our guests everyday. Reviews like this inspire our team to ensure that each guest leaves our hotel with a positive and memorable experience. Thank you for allowing us to earn your business and hope to see you again. Thank You! I have stayed at the Landmark Hotel a couple of time and each stay proved to be a very good stay. The hotel was recently remodeled and it is very nice. I would recommend the Landmark and I plan on returning in the future. Thank you for taking time to review us on TripAdvisor. We are very pleased to hear that you enjoyed your stay with us. We strive to deliver superior customer care and hope we did everything to exceed your expectations. Thank you for your business and we hope to see you again in the future. If I can be of assistance in the future, please don't hesitate to contact me at 435-725-1800. Thank you for your loyalty to our brand! Extremely friendly, accommodating, and clean. Staff was also very helpful with dinner recommendations and directions to our primary place to visit. This hotel was recommended to me by a colleague and I would recommend it to any person traveling in the area and needing somewhere to stay. Thank you for taking time to review us on Trip Advisor. We are very pleased to hear that you enjoyed your stay with us. We strive to deliver superior customer care and hope we did everything to exceed your expectations. Thank you for your business and we hope to see you again in the future. If I can be of assistance in the future, please don't hesitate to contact me at 435-725-1800. "The Best place to Stay"
This is the Best place to stay in when visiting the area, I won't ever shop any other hotels when going to this area, they have the best Breakfast, and the staff is amazing, All of them. The pool is the perfect temperature just love the place. We value feedback and want to thank you for taking time to write a review on TripAdvisor. We strive to provide superior customer care to all of our guests! I hope you felt that during your recent stay. We hope to see you again un the future! I want to take a moment to sincerely thank you for your business and your loyalty to our brand. Thank you! we had 6 room at this hotel for a destination wedding in the mountains. They were helpful and the breakfast was good. Highway on front side of hotel allows you to hear traffic all night. Other than that we enjoyed the place. Thank you for taking the time to write a review about our hotel on TripAdvisor. We greatly appreciate your feedback to help us better serve you and other guests in the future. Thank you for your loyalty to our brand and look forward to seeing you on your next visit. This was the first time I've stayed here and I have to say it was a great experience I stay at allot of hotels for work and this is probably the nicest I've been yet the staff is friendly and prompt they want to make sure you have a great night and the beds are almost too comfortable you don't even want to get out of them. Thank you for taking time out of your day to share your experience with others on TripAdvisor. Our #1 priority is taking care of our guests and exceeding their expectations during their stay, I truly hope you felt that during your recent stay. We hope to see you again! Thank you for your loyalty to our brand! "Clean, up to date Best Western"
This is a nice Best Western hotel. Very clean and well maintained. Staff is friendly and helpful. It's probably the nicest hotel in the area. I would stay here again. My only comment on improvements would be to provide a better egg product at the morning breakfast. Your business is very important to us and we value your feedback. By telling us what you liked about your stay, you are helping us deliver a superior experience for you and other guests in the future. We hope you will come back and see us again soon. I would like to thank you for your business and your loyalty to our brand. 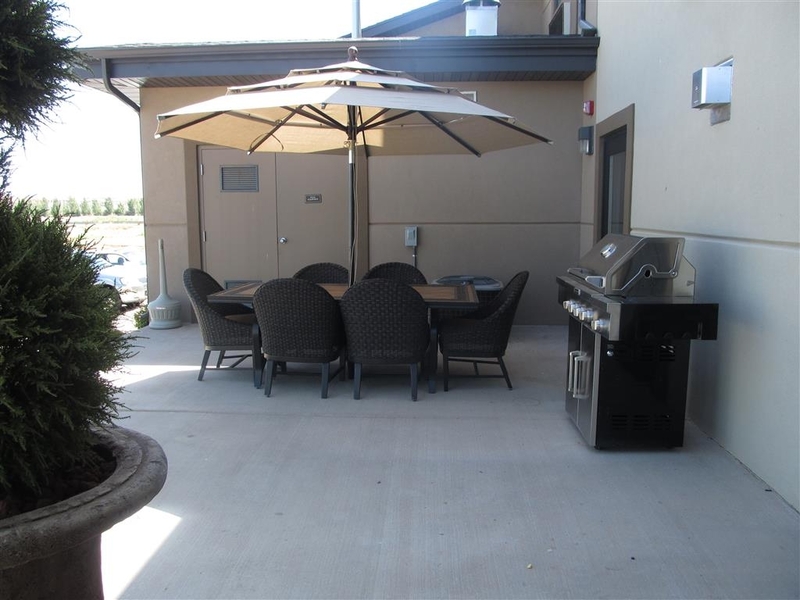 "Very nice accomodations in small town of Ballard Utah"
The hotel is relatively new and has very nice rooms and accommodating staff. I would recommend this hotel and would stay here again myself. Easy access from the parking lot and an elevator are nice extras. Thank you for taking time from your day to write a review on our property. I would like to thank you for your business and we hope to see you in the future. Thank you for your loyalty to our brand. A good place to rest while traveling through Bullard. I am unaware of any particular attractioins in the immedidate area but did not inquire. I am sure the helpful staff wouild have had some useful ideas. Hello! Thank you for taking time out of your day to write a review on Trip Advisor. That's too bad you didn't get to see any attractions while you were in town. We appreciate your business and hope you enjoyed your stay with us! We hope to see you in the future again. Thank you for your loyalty to our brand. Love it here! The staff are always friendly and helpful. Its like staying with good friends! The beds are comfortable and breakfast is always good. We have stayed in several hotels in vernal just 20 min. away and would make the drive to this hotel everytime. "The Best Western Best Place to Stay"
I travel as a basketball official and stay here at least twice a year. The staff is awesome, the rooms are fantastic and there is a comfort here that you just don't feel too often. You can't miss here! Thank you for taking the time to write a review on TripAdvisor about our property! We love and do our best to provide superior customer care to every guest that walks into our hotel! I'm happy you felt that during your stay with us! We love having you and are grateful for your business! We would love to see you again in the future. Stayed here wth my dog. We both really enjoyed the stay. The front desk greeted the dog warmly. There's a park just down the street from the hotel, where we went for a walk. Breakfast and the room also treated us well. Only stayed one night but will be back. Was a great property. The rooms were very clean. The breakfast lady was amazing, as well as the assistant manager. I was very impressed with this hotel and their service. Thank you! Thank you for taking the time to write a review about our property on TripAdvisor. We strive to provide superior customer care for our guests and I'm happy to felt that during your stay. We look forward to seeing your in the future! This was our first visit here and found the staff to be friendly, concerned over our well-being, and enthusiastic about the property. After getting into our room and unpacking, we decided it would be too noisy for us due to the highway. We were graciously accommodated in our request to change rooms, with one of the associates even offering to help us transfer our things. The hotel was clean, with no overpowering cleaning scents hanging in the air. It snowed 4-5" during the night, and one of the staff went out in the cold early morning air to brush off all the windows of each vehicle in the parking lot! We've never had THAT happen ANYWHERE before! 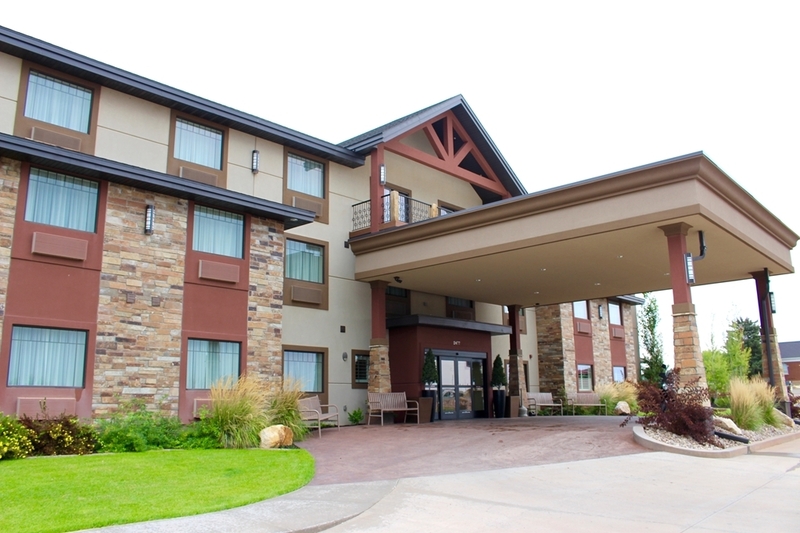 We have usually stayed in Vernal for our business in Roosevelt, but decided to give this Best Western a try. It was the PERFECT choice! Thank you for taking the time to share your experience about our property on Trip Advisor. We strive to lead the lodging industry in superior customer care and appreciate your recognition on our efforts. It was our pleasure to be able to make accommodate you and your family. We would love to see you again soon. Chris at the front desk was wonderful. She had the pack n play ready to go in our room before we got there. The breakfast lady was also super nice. And breakfast was SO good. I couldn't believe the variety. The rooms also felt very clean. I'd definitely stay here again. Thank you for sharing your experience on Trip Advisor. We do our very best to provide superior customer service with our guests. Thank you for recognizing our efforts. I'll be sure to show Chris and the Breakfast attendant your review. Thank you for your business and we look forward to seeing you in the future. 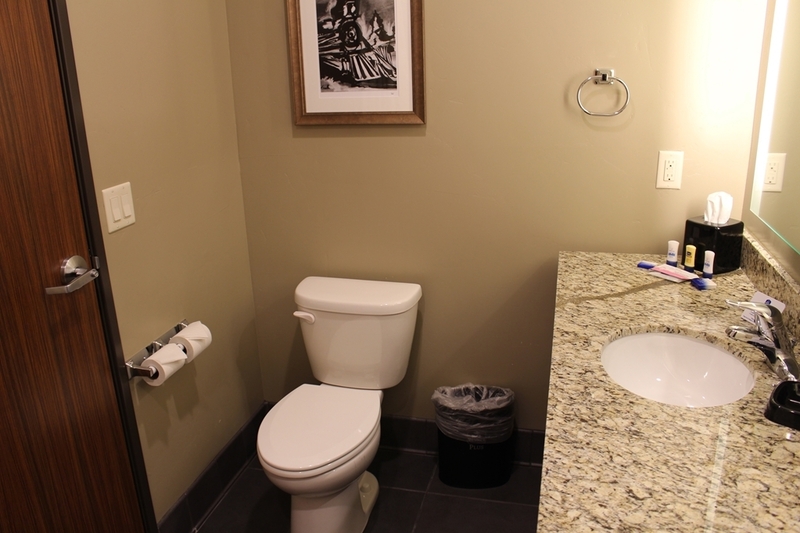 "Best Hotel in Roosevelt "
The place is clean, comfortable and nice with a friendly and helpful staff. Amazing breakfast included - good variety of well presented fresh (hot and cold) food. We had a great stay while passing through. This hotel is relatively new. 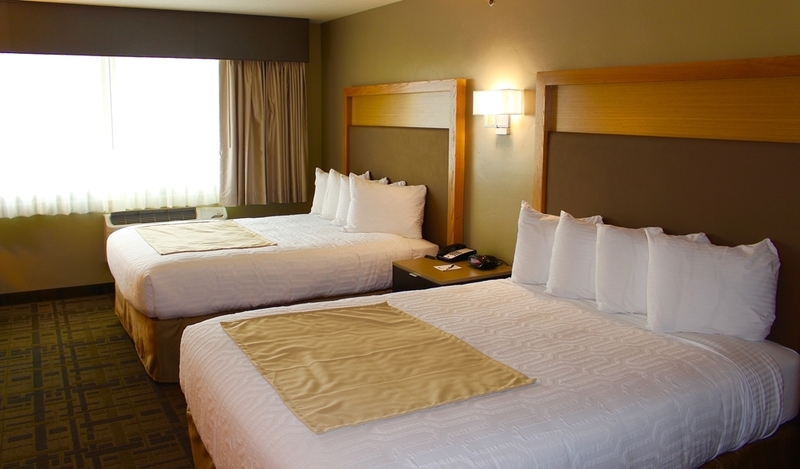 The rooms have good beds and furniture, is clean and quite comfortable. Easy to find on main road and close to a variety of restaurants. 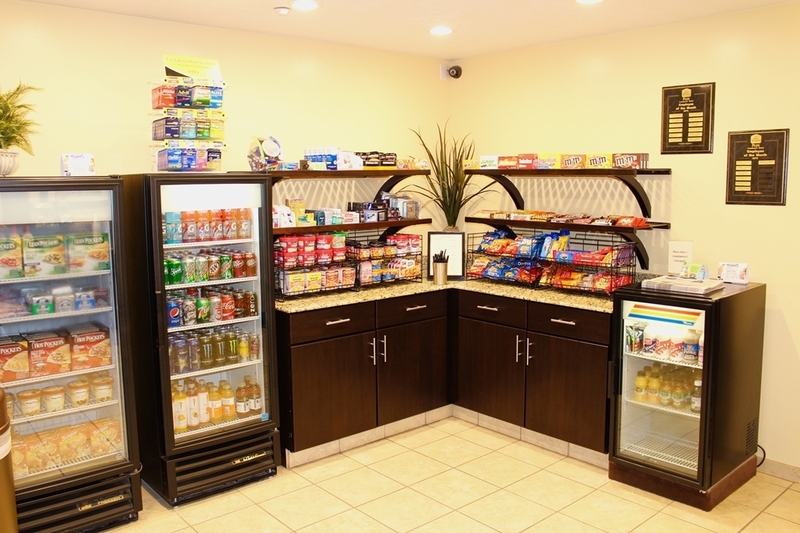 Reasonable rates, good breakfast amenities. A good place to stop on your road trip through Utah. "Amazing Breakfast & Nice Stay"
I stayed here on business, this hotel had an amazing warm breakfast in the morning with a large selection of items to go along with it. (Greatly appreciated!) Being right next to the highway, the rooms facing the road are noisy due to all of the semi traffic, otherwise it was a very nice place to stay. "Great Place to Stay in the Uinta Basin"
This hotel is nearly new, very clean, and the staff is terrific. The rooms are quite comfortable as well. This is a great place to stay if you are working or adventuring in the area. The included breakfast is a nice bonus! 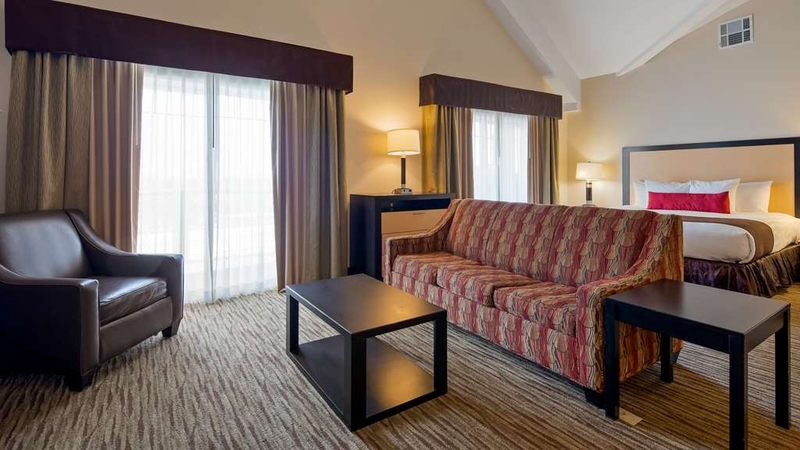 This is your classic best western. The room is clean nice bath and shower with a mini bar. Room has large double window. Tv is wide screen and has a real good picture. My room is a double queen and both beds are comfortable. The receptionist was very helpful and pleasant to talk to. Nice hotel for the middle of???? This is my second time staying here and it was. Ice both times. Great hotel with clean, well maintained, and very nice rooms. The staff were great, the wifi worked, and the breakfast spread was impressive. Only complaint is that there were no remotes for the TVs in the fitness centre. My husband and I were traveling across country and stopped for the night in Ballard Utah. There are several hotels to pick from but we decided to stop at the BW. This hotel is clean, beautiful and the staff couldn't be more friendly. The hotel is about 4 years old but you would think it was only open for 1 day. That's how nice it is. I highly recommend this hotel if you are in the area for the night or staying for a while. The manager was extremely helpful with dining recommendations and anything else we needed. "Best place to stay in the area"
Stayed my 26th night last week--received a nice complimentary gift basket. Stayed at several other motels in the area before this one--none compare to the facility, staff efficiency and friendliness, cleanliness, and accessibility of this BW motel. Is there anything to say bad about this place? Well, maybe location. The Uinta Basin area isn't the most exciting place to be but the scenery is beautiful. This hotel is the only place we want to stay when traveling in the Dinosaur National Park/ Vernal area. It is so clean and has everything we need and more. 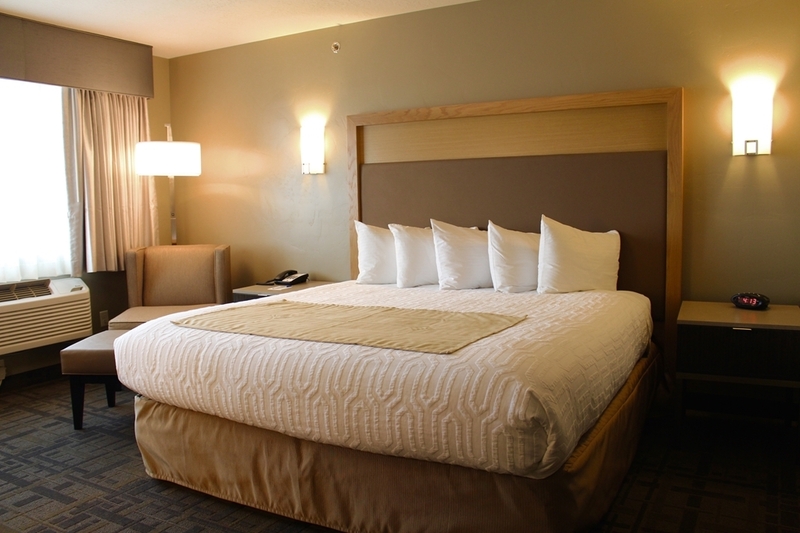 Comfortable rooms, and good amenities and a great breakfast. And little treats and hospitality too. The staff is so friendly and helpful. It is literally the best place I have stayed in any location we have visited across the county. We enjoyed staying at the Best Western Motel in Ballard, Utah. We will consider staying at a Best Western Motel on our next trip. Your great service is of our first consideration. Keep up the great service. We have stayed at hundreds of hotels over the last few years. This rates with the best of them except when your neighbors decide to cook dinner in their room. When the cooking begins in the evening the stench is overwhelming in the hallway, your room and everywhere in the hotel. 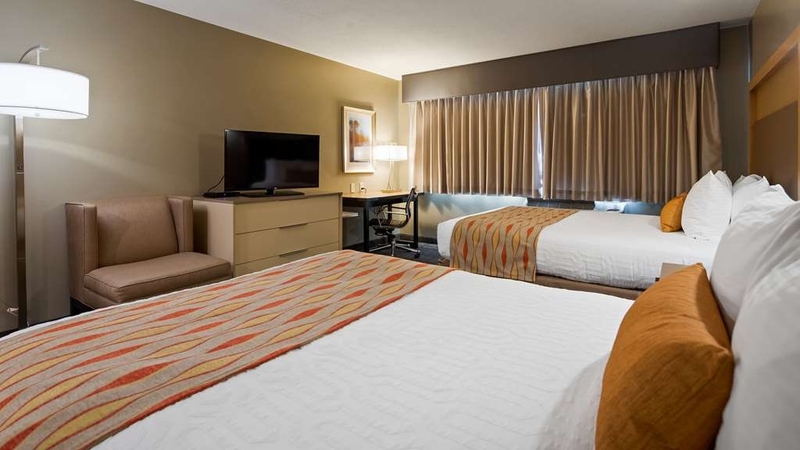 The positives: clean hotel room and property, refrigerator in room, large HDTV but only a few HD channels, comfortable bed, good a/c, large room, good water pressure in sink and shower, good towels, complimentary USA Today, good breakfast buffet, friendly staff. The only negative: the smell that permeates the hotel and your room when your neighbors cook their dinner. Be forewarned- you'll smell it all night long and in the morning. They need to work on a better ventilation system if they're going to let people cook in their rooms. We stayed here for our family reunion and had a really fun time. We used the conference room to gather all of us together. It was very convenient and a great place for us all to gather. I have stayed at a lot of hotels and have never been treated as good as we were here. They went above and beyond to help us with whatever we needed. I loved it and the people working there were so awesome. It was very clean and comfortable. I would definitely recommend staying here! "BW in Ballard is tops"
If you ever plan a trip to Vernal or Roosevelt and need a comfortable hotel with the best staff in the country, I suggest you stay here. Not only are they friendly and helpful, they are attentive to each guests needs. I have been at this hotel 3 times now and it feels like "Ground Hog Day" each time as the consistency of the staff is outstanding. 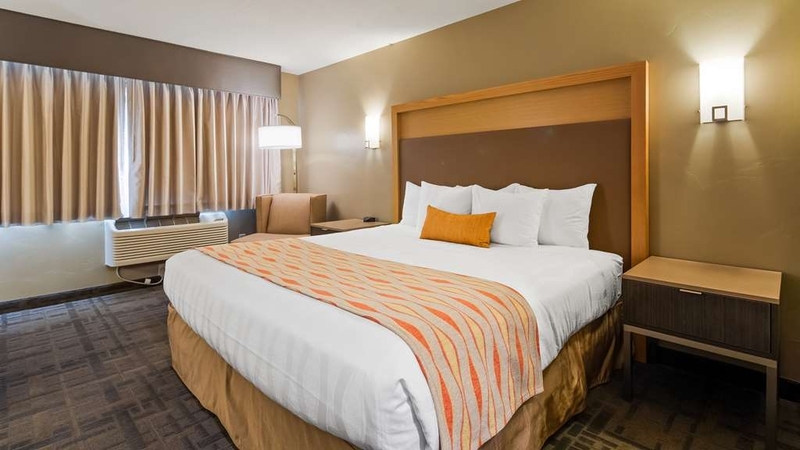 Clean rooms comfortable beds and amenities that work all for a great price. Great clean spacious room. Very reasonable prices with breakfast included. Good location in the middle of town. The breakfast lady, you can't help but to smile, attitude is everything. The beds are very comfortable with like 4 pillows that made it very luxurious. The management team was also very flexible and helpful. Thanks Kevin, we will be back. I found myself needing to stay in Roosevelt, Utah for a few days on business. 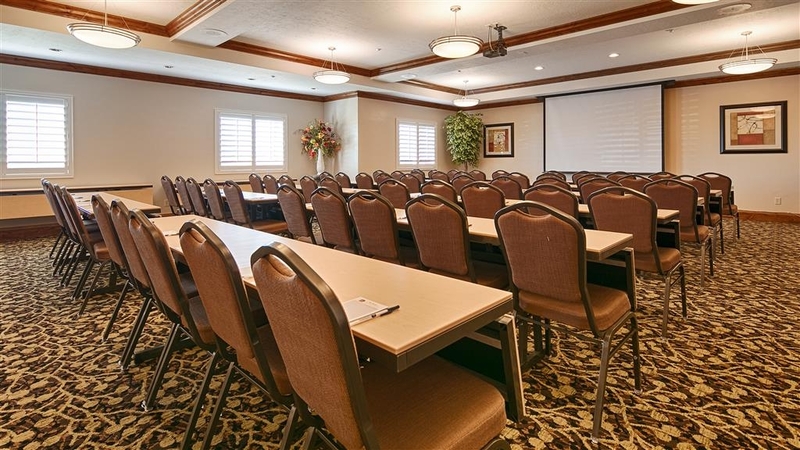 So as I began looking at my hotel options and comparing price & quality of what was available in the immediate area I decided to stay at the Best Western Plus Landmark Hotel in Ballard which is only a mile or two outside, and to the east of, Roosevelt along highway 40. A nice alternative I figured if you don't want to stay in Roosevelt itself. Upon arrival I was greeted by both a clean and new looking parking lot and hotel. Though the hotel parking lot was relatively full I had no problem finding a place to park; plenty of parking spaces for guests is always a plus as far as I'm concerned. The lobby was warm & inviting & I was immediately greeted by a friendly receptionist as I entered. I had no problem confirming my reservation and the overall check-in experience was fast & easy. My room was fresh smelling, clean & rather spacious as far as hotel rooms go. The bathroom was also roomy, which is not always the case as anyone who stays in hotels as much as I do can definitely attest to. The bed, bedding, and pillows were new, clean, and very comfortable. The a/c worked perfectly, as did the mini fridge and microwave. None of the appliances were in the way or took up any additional room; the overall room lay-out was beautifully designed. The shower was clean, mildew-free, with plenty of hot water. The wifi worked perfectly in my room. 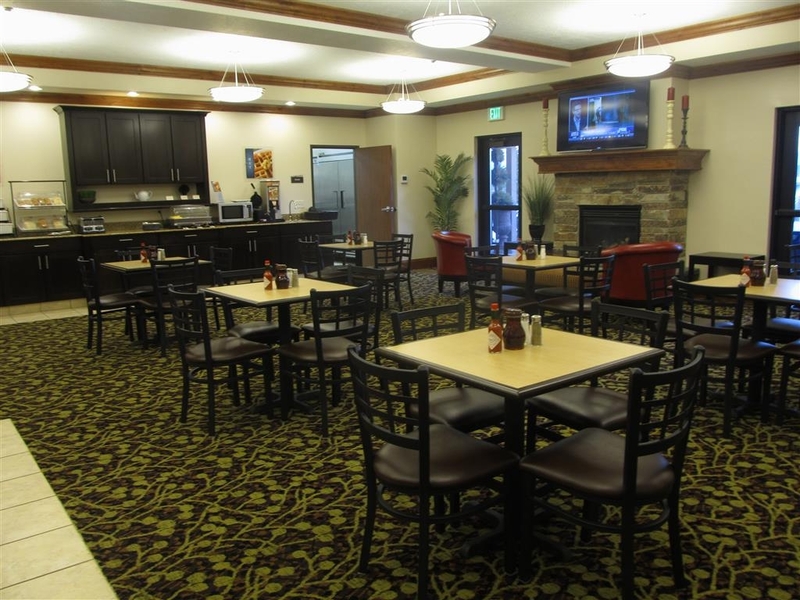 The full breakfast was well laid out with plenty of food options & the breakfast staff was on top of keeping the breakfast area clean & stocked; not to mention that she was extremely friendly & helpful in spite of being so busy keeping the breakfast area in order. 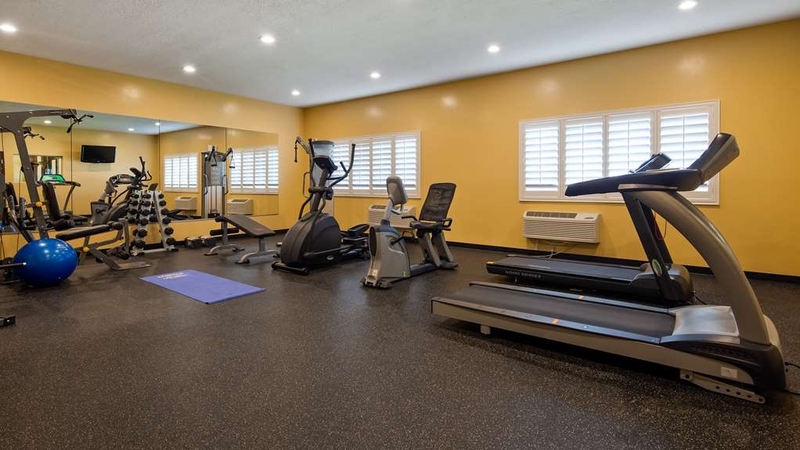 Both the exercise room & pool were well kept & clean. When it came time to check-out, it was just as quick & easy as when I checked in. 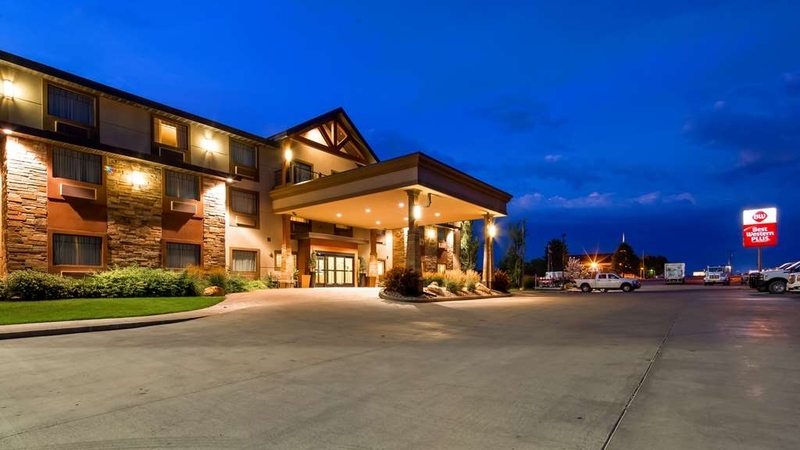 Overall I'd recommend this hotel to anyone who finds themselves traveling through the Uintah Basin & in need of a place to relax & spend a night or two. The employees are so very kind and considerate making the stay just that much better. I felt like family and will definitely return. 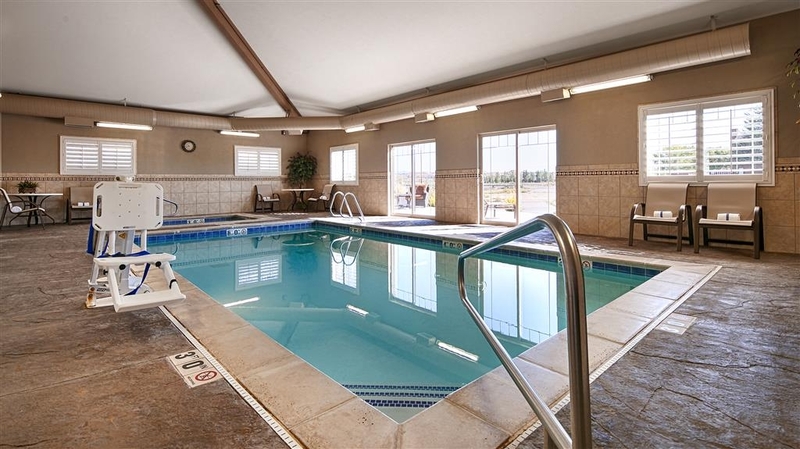 You will find an excellent hot breakfast, pool and fitness room to make the trip more relaxing. Always going to be my first choice. We took our kids to stay at their suite and it was an amazing room. It had a king bed, two single beds upstairs in a loft and 2 pull out sofa beds (1 up and one downstairs) and a large balcony we could go out and view the ranch across the street. I loved the huge bathroom with a shower and a separate extra large jet tub. And the breakfast blew me away. There were real glass plates and real silverware along with a wide assortment of breakfast items. And bonus: the pool was open 24 hours!The kids and I sure loved the whole experience. This hotel is a true gem! I took my grandsons to the Vernal area to check out all of the dinosaur parks and museums in this area. I wasn't sure where to stay but knew the Best Western Brand and I have always had a great room at any of the Best Western Hotels. This is a great place to stay. The hotel staff was professional, helpful and made our stay great! 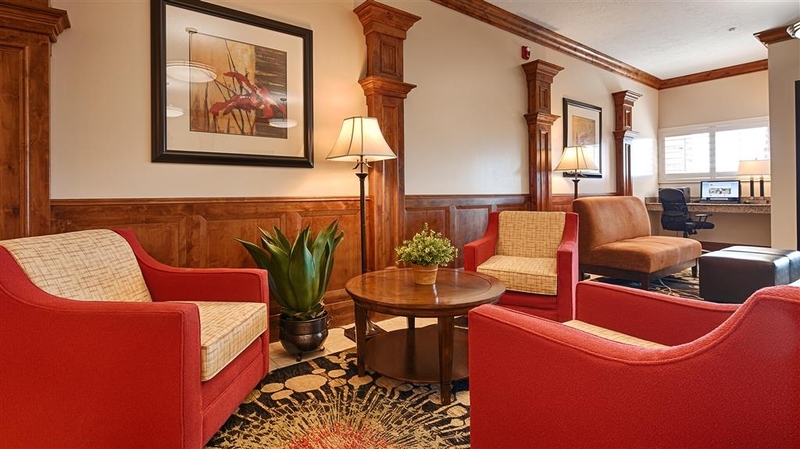 "Great place to stay, business or pleasure"
Staff very friendly and helpful, rooms spacious, clean, internet access easy, good breakfast choices, beds comfortable, kitchenettes handy, elevators, fitness center well equipped, easy access with plenty of close by parking. Great hotel! Excellent, friendly staff upon arrival, who had freshly baked cookies as a welcoming! Great hit with the kids! 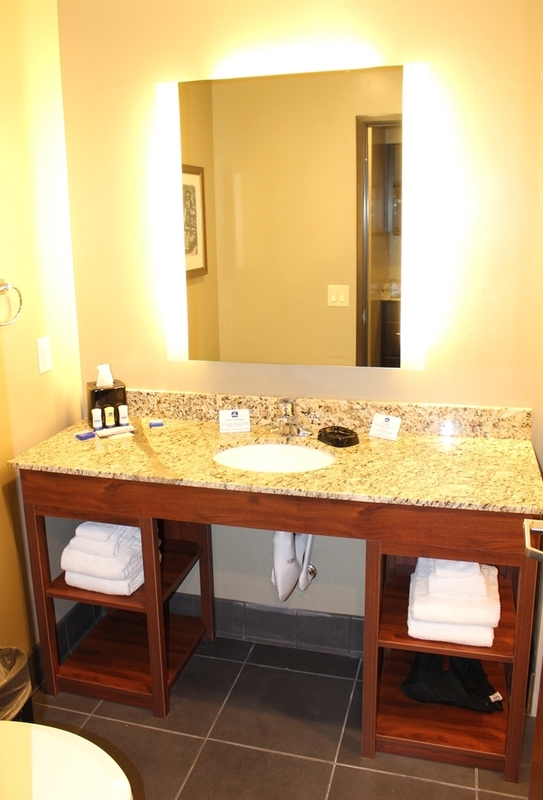 Clean rooms, nice bathrooms, modern amenities and decor! Pool and hot tub were pristine. We ended up having to do laundry while here and very pleased with the facilities. We caught a beautiful sunset behind the hotel! Great! Great! Great! Stay here! "Great clean place to stay." We were really tired and we were so glad to stay at this clean hotel. Our bed was very comfortable and spacious. We also had a nice hide a bed couch.The breakfast was delicious and the staff were so helpful. From the moment we checked in, we were thrilled with this facility. 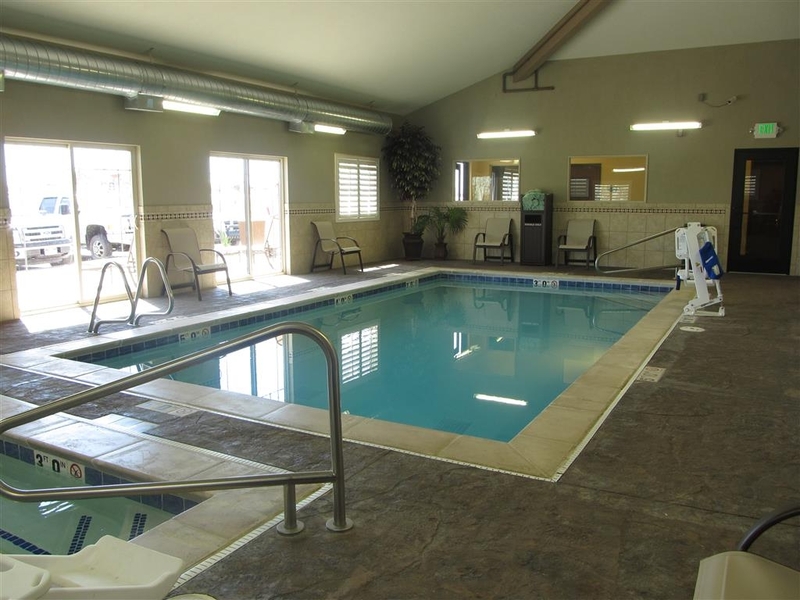 We experienced courteous, friendly staff, a clean comfortable room, wonderful hot breakfast, and a relaxing, fun pool. The first time we stayed was for a family funeral, the second was for a family reunion. Both times we were given the same exceptional service. We wouldn't consider another place to stay, this was a wonderful facility. My last stay at a Best Western was the same as all the others, excellent. They are very friendly and courteous with everyone. Folks was enjoying the pool, wight room and the outside patio. Clean, friendly, reasonable priced. What else could you ask for. I stay at the Best Western Hotel in Ballard on every business trip to Roosevelt, Utah. 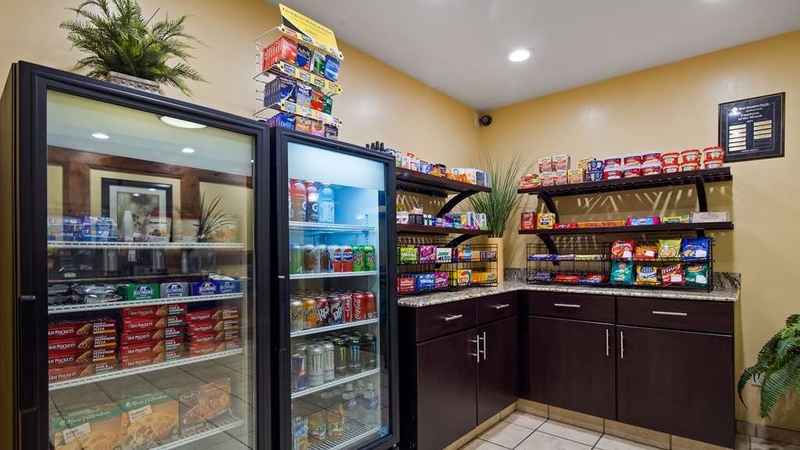 The hotel is located on the east side of Roosevelt, has plenty of parking area, excellent breakfast selection and breakfast is available at 5:30AM during the work week. Best to make reservations in advance as the hotel fills up quickly. 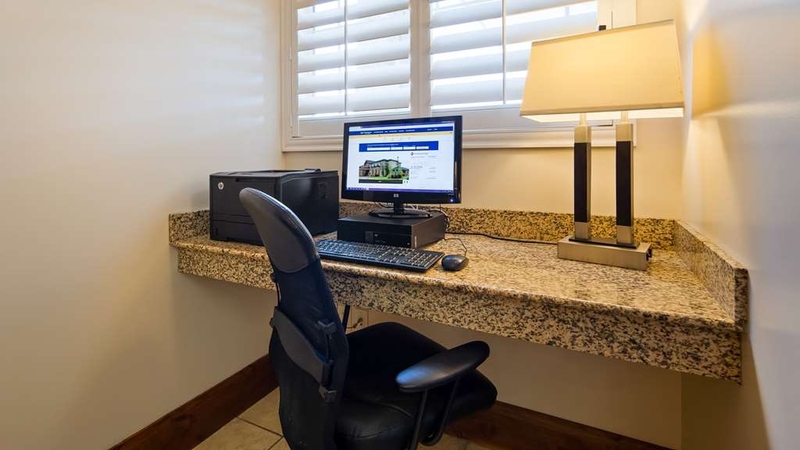 I have stayed at this hotel several times over the past year and have always found it to be an excellent, clean, well-managed property, with special amenities and accommodations. Staff people are always helpful, especially Kay Lynn, Angelica, and Annie. The head of maintenance, I wish I could recall his name, has also provided excellent assistance and keeps the hotel well-maintained. There is a new section that is very nice, although even the rooms that are not quite as new appear to be new and all are nicely appointed. I recommend this hotel highly. We enjoyed ourselves very much. In town for Nieces graduation. Everyone was very nice, it was exceptionally clean, and breakfast was so good we stayed two hours later than expected. Will be staying here again. 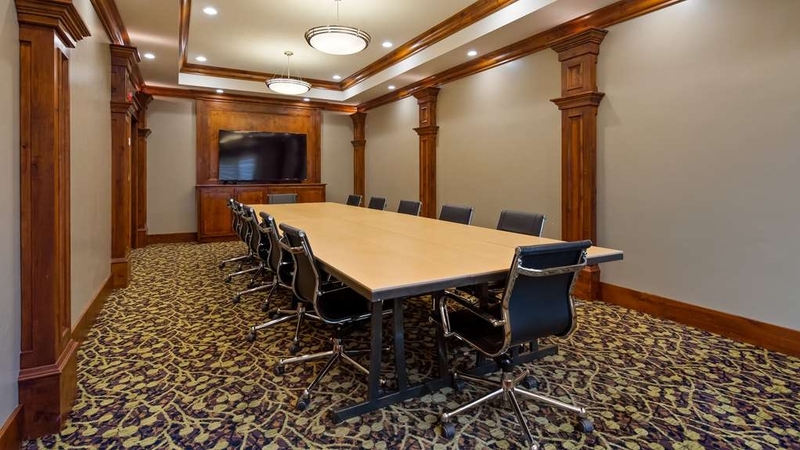 New hotel...everything is in nice working order...good breakfast...king suite included sofa a nice kitchen area...outstanding meeting room with overhead projector...staff was super friendly. Definitely will stay here again. The employees at this hotel were excellent. Very friendly, and willing to provide help for all needs. Nicest hotel in the Roosevelt area, and a great value. Would for sure stay here again. Good location for your needs in the Basin area. Would definitely stay at this hotel again. The staff was very friendly and professional. They had fresh cooked eggs at breakfast (versus the frozen stuff) waffles as well as pancakes and real plates and silverware. Breakfast hostess was very friendly. Room was nice, quiet and comfy. Bed was comfy. Thank you for providing my family with all of the items we requested. Our room was perfect for our large family. We were very grateful for the pool/hot tub being open late so we were able to relax after our long drive. The breakfast was delicious & everything was clean & stocked very well. "Wonderful staff and nice facility!!" We came out to the Basin area to do some member meetings for our Health Plan. 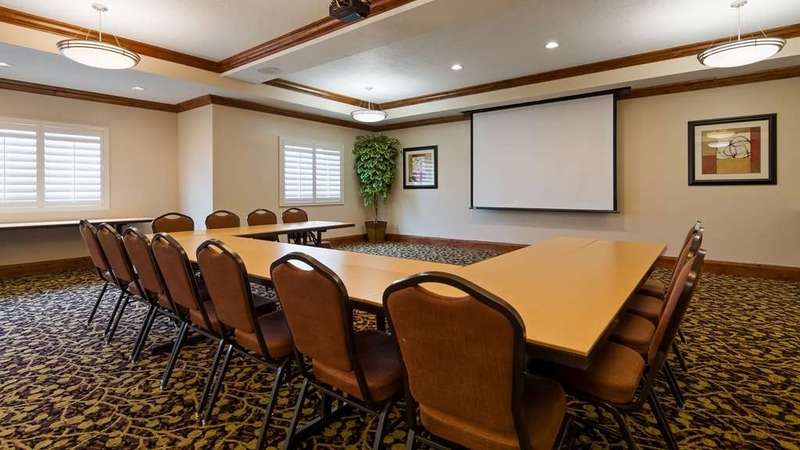 One of the meetings was being held at the Best Western Plus. We stopped in yesterday to see if there was anyway you would be able to set up that night so we weren't rushing in the morning. To our surprise the staff was VERY FRIENDLY and HELPFUL!! They allowed us to come in last night and set up. They also told us about the area and some of the places to visit. I will say here next trip down! 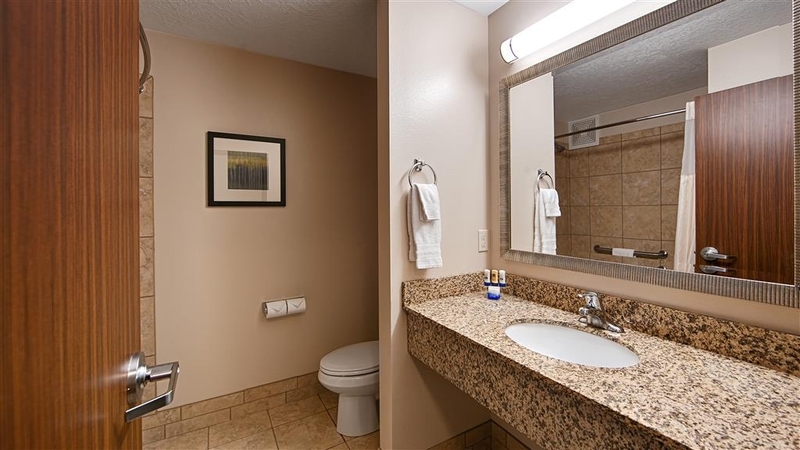 "Best Western Plus Landmark, Ballard UT"
This hotel is very clean and the staff was very friendly. The breakfast that was included was wonderful as well. There was a nice variety of hot and cold items and it changed each day. Had a terrific stay! The woman in charge of the complimentary breakfast was fantastic. Unfortunately, I didn't get her name, but she was very pleasant. She went out of her way to bring out toys for the pool, so that our children would have a few things to play with. 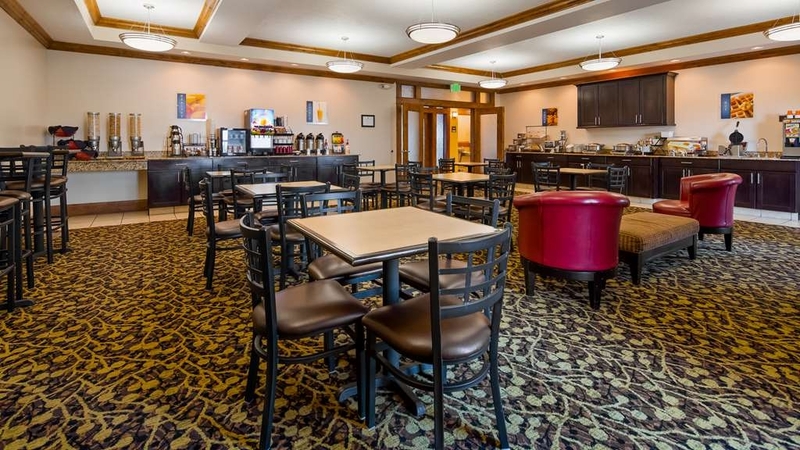 "Great choice for a hotel near Roosevelt"
This hotel has all the general amenities that make your trip better- a well stocked variety of breakfast choices, wi-fi, adequate exercise room, and staff who are friendly enough so you think that they care. "1st Time Ever / Amazing - You Won't Believe This!!!" The staff of this hotel is amazing. Even cleaning my windshield on a cold and frosty morning. What a great and loving way to start my day! When I asked if it was staff, they didn't confess, but the second day I caught them! 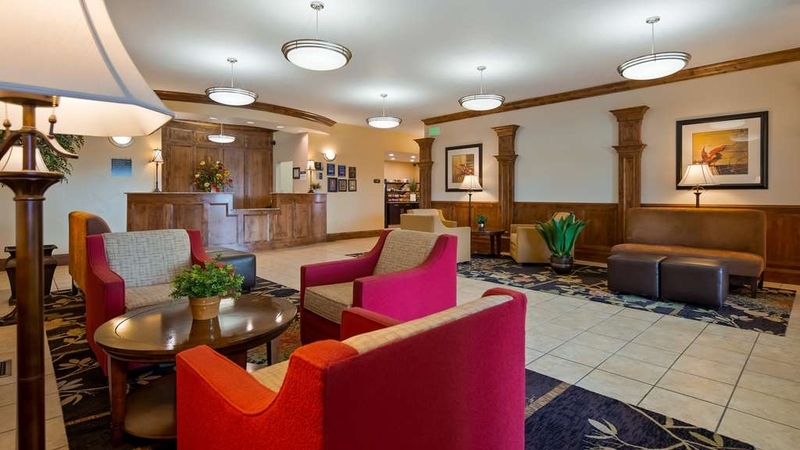 Our stay at the Best Western PLUS Landmark Hotel in Ballard UT was a wonderful experience. Staff was friendly and professional. Amenities were exceptional. Rooms were immaculate. All services provided were top-notch. I will definitely return to this hotel. Just wanted to do some fishing at Starvation Reservoir in Duchesne, Utah. They have hotels there, and one is brand new. Liking Best Western, I decided to take a chance on this one 35 minutes away. WHAT A GOOD CHOICE. We had the best stay ever. Not only is the hotel awesome, with everything you need, the people who work there are simply the very best. Shout out to Kevin, Kay Lynn and Annie. Two thumbs up. Cant wait to stay there again. Too many good things to say about this place to write them in this small box. Impressive. Hello! THANK YOU, for taking the time to write a review about our property on Trip-Advisor. It was our pleasure serving you and we thank you for your business! 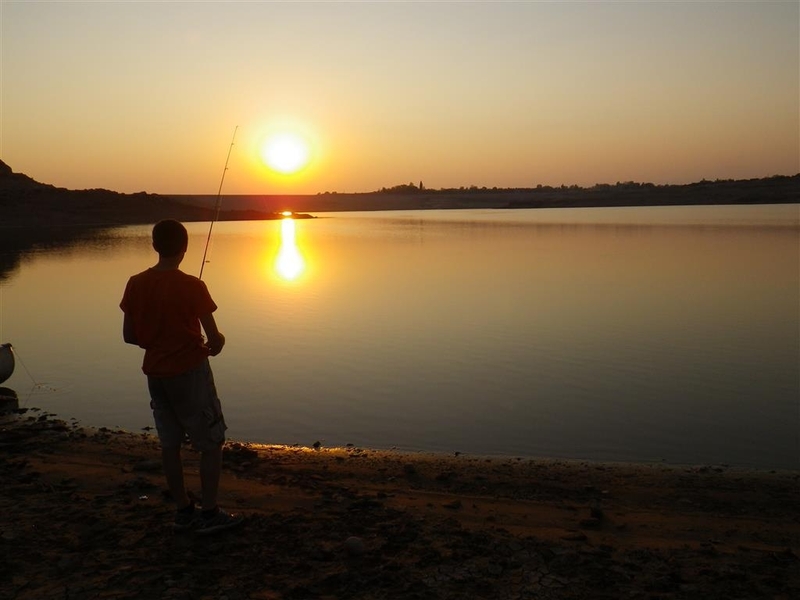 Hopefully your time fishing was successful. We recognize that you have many hotels to choose from and sincerely thank you for choosing ours. We look forward to seeing you again soon! We planned a trip to shoot ice fishing videos for Shifty Outdoors ice team. We stayed for two nights and the staff was very accomadating. We had very expensive ice equipment in out trucks they allowed us to park in a very well lit area in front of the hotel to help keep,an eye on it. The hotel was very clean, still smells new, and I couldn't believe how friendly the staff was. The Best Western is by far the Best hotel in Roosevelt, Utah. The rooms are large with flat screen television and some rooms have kitchenettes. 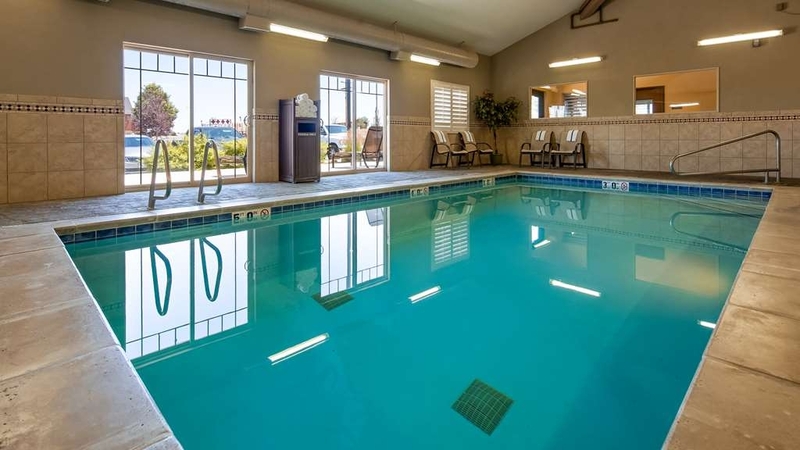 The hotel also has a large indoor swimming pool and a fitness center which is well equipped. It offers free breakfast with many selections. The staff is always friendly and helpful. It also has laundry room on each floor and it only cost one dollar to wash and one dollar to dry. Laundry soap, snacks and other items are available for sale at the front desk, Local newspapers are available for free. "The best accommodations in town"
The front dest lady was friendly and the breakfast room attendant was adorable and overly nice to the guests. Even the housekeepers greeted me and wished me a happy new year. Rooms were clean and quiet. The kids swam for hours in the pool and hot tub. Great experience, we will definitely stay here again! Hello! Thank you so much for taking the time to write a review about our hotel! We're so glad you appreciate our staff, as it is our goal to lead the lodging industry in superior customer care. We look forward to seeing you again soon! "NICE HOTEL IN UTAH OIL LAND"
This is a new hotel, and a very nice place to stay. 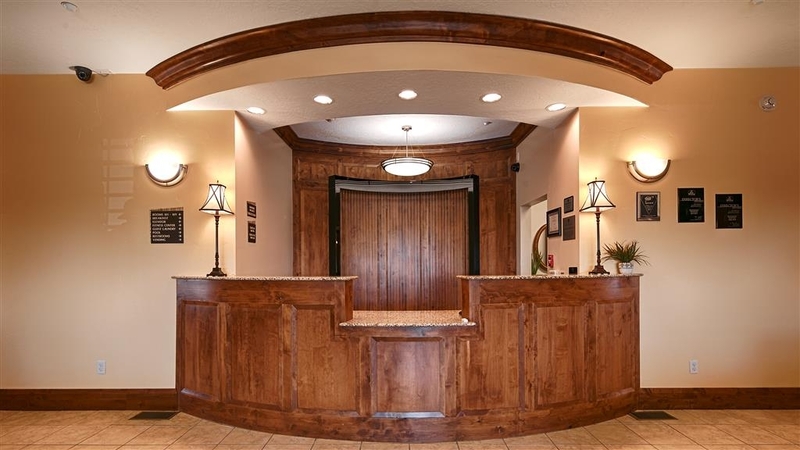 When not on a working trip, we will need to explore the surrounding tourist attractions to see why they put such a nice hotel in this town of Ballard Utah. Make sure you eat next door at Mi Casa. It's a great Mexican place to eat, but they do have other things. Hello! Thank you for taking the time to write a review for our property on Trip Advisor! Your compliments are so much appreciated. 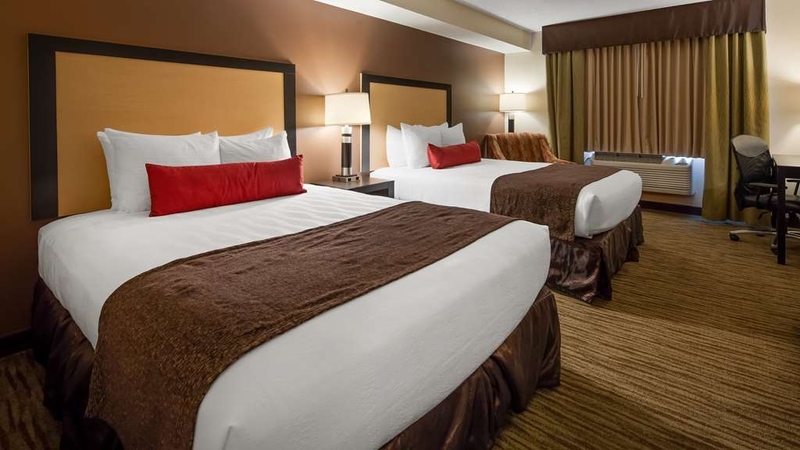 We do our best to lead the lodging industry in superior customer care and we're grateful we could have you as our guest. We look forward to seeing you again soon! Staff are always nice. Breakfast is Great. It's nice to get more than cold cereal or donuts. Rooms nice and clean. Rooms with the kitchens are super nice and clean. Anne, Kay and Kay-Ray are the best. Hi there! Thanks you for taking the time to write a review about our property! We are so glad you enjoyed your extended stay room. We will be sure the individuals you mentioned in your comments receive recognition and appreciation for making your stay comfortable and memorable. We look forward seeing you again soon! Highly recommend this hotel. The staff is exceptional and will go out of their way to see that you have everything you need for a great stay. Rooms were large, very clean and the beds were comfortable. Heating/Air-conditioning worked quietly and efficiently. Breakfast buffet with farm fresh scrambled eggs, bacon or sasage, fruit cups, yogurt, make your own pancakes, waffles, everything you have seen on other hotels but more and better quality. Best selection in any hotel buffet. It means the world to us that you took the time to write a review, Thank you. Our staff is happy you enjoyed your stay. We look forward to seeing you again. Great place to stay for the location but the bar staff were appalling! Only interested in the floozies, football and who pays the biggest tips! Ignorant men and would have spent more money if they had been interested but got better and cheaper service at Eamonns Irish Bar round the corner! Has all the earmarks of a quality hotel. Staff was lovely and went out of their way in their service, particularly the breakfast lady who was so cheerful and welcoming and invited us in even though we misunderstood breakfast hours and breakfast was technically well past over. Everything in our room worked and we felt very safe and comfortable. We stayed there Thanksgiving night and they had just put up the beautiful Christmas decorations in the lobby. The tree was magnificent--my four year old was entranced! Would definitely recommend this hotel! Hi there! We want to thank you for taking the time to write a review about our hotel on Trip Advisor! Your compliments are very kind, and much appreciated. I assure you that our staff will be recognized for their superior customer care toward you. We hope to see you again soon! Stayed for a wedding. The rooms were clean, breakfast was so good fresh farm eggs, pumpkin spice waffles and more. The pool was clean. The staff was incredible so helpful and friendly, always smiling and attentive. I would stay here again. I thank you for taking the time to let us know about your recent stay. Knowing you enjoyed our hotel brings us great joy. Upon your next trip through this area please visit us again. My reviews of this hotel is great. I love all that this hotel provided even when individuals forget the small stuff like toothpaste. The morning breakfast when I was there was good and had alot to choose from. I am grateful you took the time to write a review. Your comments have been passed along to our staff. Having your feedback helps us to improve and continue to exceed guests' expectations. I look forward to visiting with you upon your next stay. The bed was comfortable and I got a good night's sleep, but the pictures on the website were a little deceiving. The staff were friendly and very helpful and gave some good recommendations for food. Overall, not too bad for the price. Great place to stay. Rooms clean, breakfast good, employees where very helpful this is the only hotel in Roosevelt ut that i will stay at. I stay at alot of hotels a year and would taste this one as one of the best ones. "WILL STAY AGAIN - HIGHLY RECOMMEND"
Highly recommend as everything was great ... very clean rooms and facility, comfortable beds, quiet, tasty and hearty breakfast with lots of variety, the staff was very helpful in getting directions, looking things up for us on the internet, and overall friendly and helpful. We would certainly stay there again next time we are in town. I stay here every two weeks for two days for business. This is the best valunue for my money. The rooms are clean and new. The personal at the hotel are ver helpful and courteous. This review is to damn long ang takes up much time. Only a year old and everything is new. 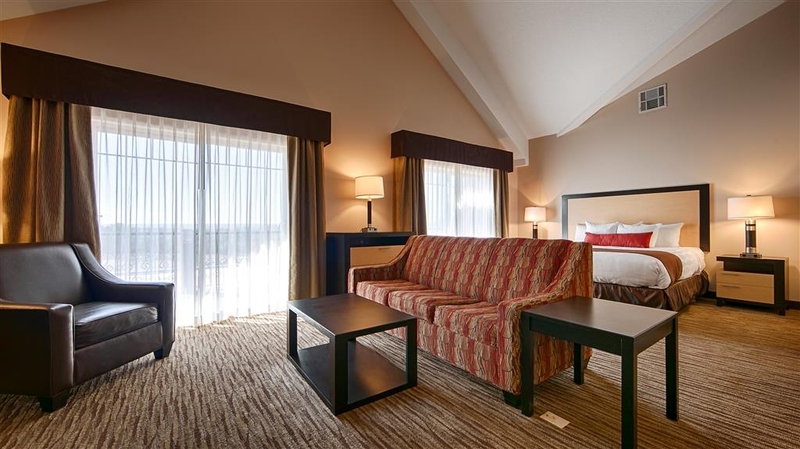 Great nice sized rooms with comfortable beds and well laid out bathrooms. The sink and mirror is outside of the bath/toilet area so you can use both at the same time and not be in eachothers way. Very helpful staff from the front desk to service employees. Best place in Roosevelt. Located at the east end of town out of the busy area but only a minute to city center. Thank you for taking the time to let us know about your recent visit to the Best Western Plus Landmark Hotel. We are glad you enjoyed your stay. I've stayed at Best Western in Ballard, Utah every year for the past 3 years. Nice rooms, friendly staff, great location, great service, and a hot breakfast to start the day. I felt the room was worth what I paid. What more can you ask for? My stay was excellent from check in to check out! I enjoyed the comfort of the room, bed, everything. I want to thank the staff for the friendly and caring manner. For going out of the way. Especially Angelica. "For a small town hotel it is very nice"
We stayed in the newly built section of the hotel in a King kitchenette. Nice big room, clean, helpful staff, and nice breakfast in the morning. We usually stay in 4 or 5 star hotels in the larger cities. While this hotel is not as luxurious those hotels it is very nice for what it is. My only concern is with road noise. If possible get a room on the other side. You don't hear a sound at all on that side. After a very long driving day on our road trip,this hotel was just what we needed. Very pleasant staff and a quiet comfortable room filled the bill. Breakfast was fresh and tasty. Only thing missing was good strong coffee. It's pretty light. Overall, great. A very fine motel with helpful friendly staff.We found the appearance and amenities of the place excellently presented. We were there for only one night, but it was very enjoyable. The breakfast was delightful. I come here to do work in the hotel conference room, doing psychological evaluations. I have found the hotel to be clean, well-managed, and the staff very helpful. Every aspect of what I have needed has been met well, timely, and with positive energy. The staff members are friendly, personable, pleasant, and willing to help. I have enjoyed working with Angelica, Jimmy, and others whose names I do not recall. It is a positive experience to come and stay here. The rooms are also clean and satisfactory. Thank you for a job well done! This is the ONLY place you want to stay in Roosevelt. The staff is Extremely helpful and kind. The beds are perfect, the breakfast is delicious and the pool and hot tub are clean and warm. Everyone is friendly and the hotel is clean and comfortable. My family and I stayed at this hotel during a recent road trip. 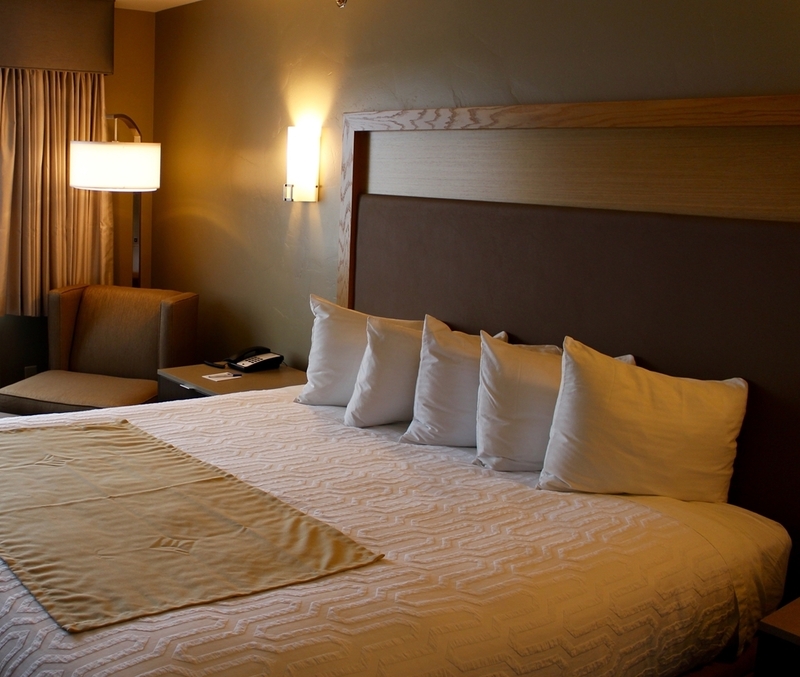 We checked in late at night and the staff was warm, friendly and eager to accommodate our needs. The room we were given was clean, spacious and had a nice modern decor. We were very comfortable thoughout our entire stay. We also enjoyed the free breakfast buffet. There were lots of options for adults and kids. I would strongly recommend this hotel to anyone passing through Roosevelt.